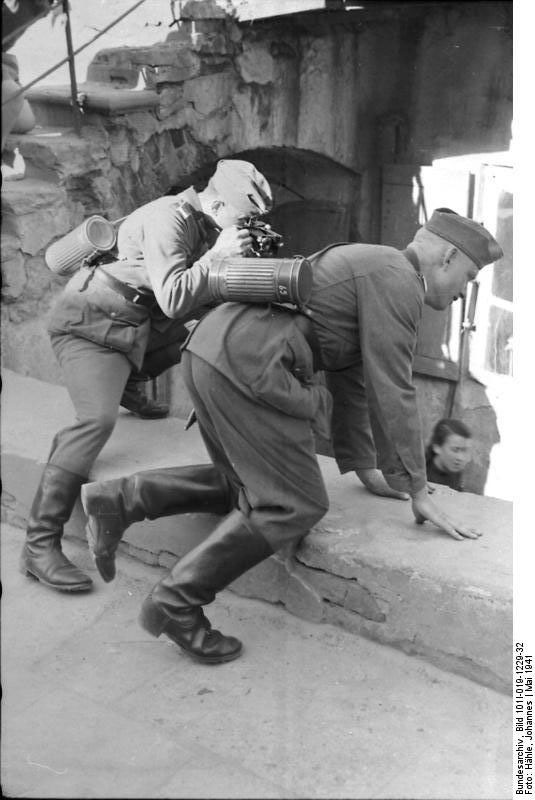 World War II was the first war in which soldiers, especially German soldiers mass-produced private photos. 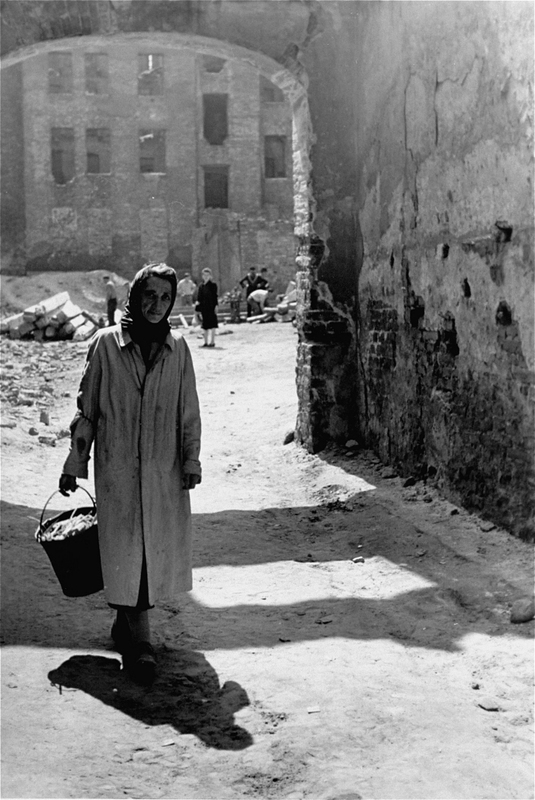 Some appalling series such as the photos of the massacre in Baby Yar or Lubny sometimes raise the suspicion: “where have these hitherto been? 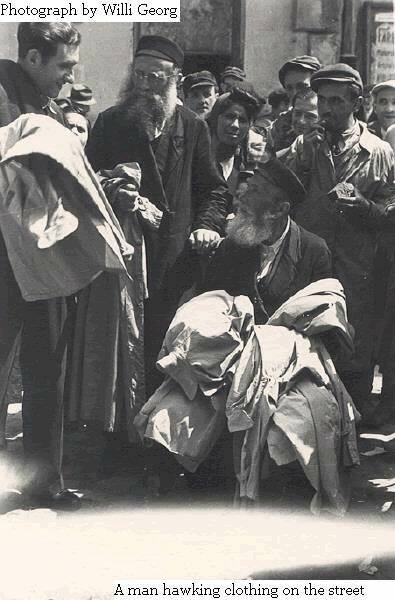 why were they found only after all these years?” The reality is that these series are only the tip of the iceberg. 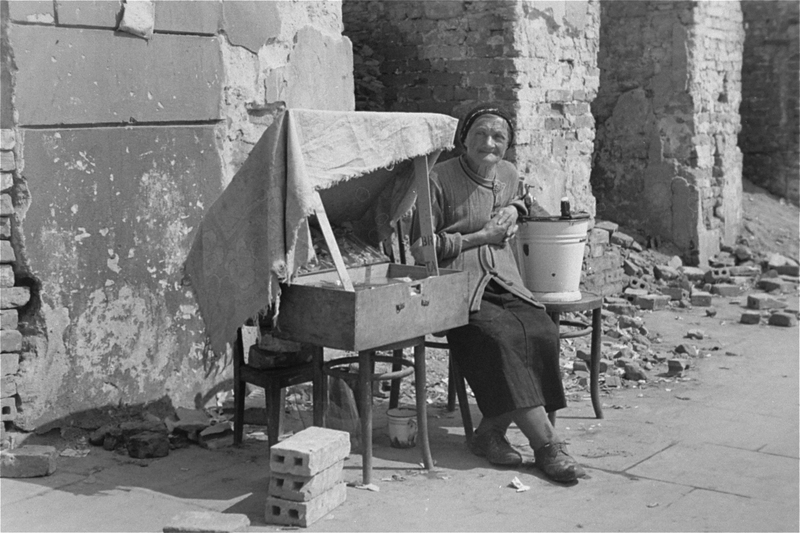 Thousands of film rolls and prints of the period are still preserved in private property and archives, which for half of a century have not been published simply because the public was not interested in them. 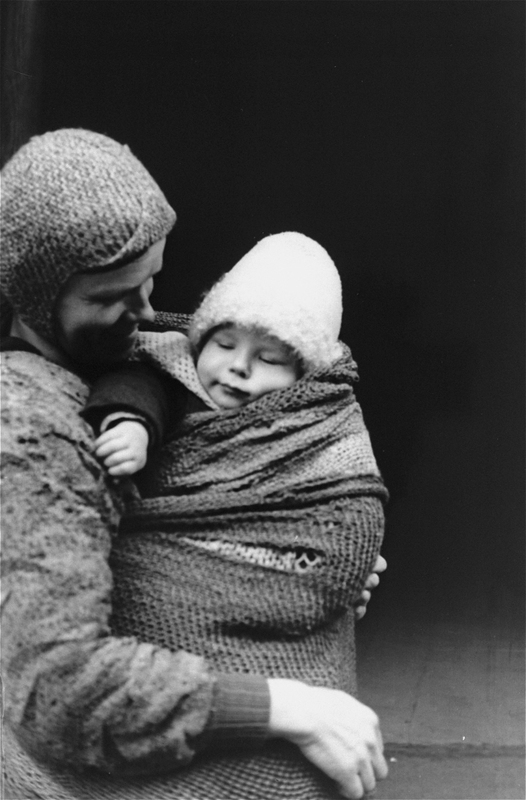 Only since the early 1990s they have begun to deal with them, to process, exhibit and publish them, and it was only in 2009 that their first summary publication, Petra Bopp’s Fremde in Visier was issued This monograph and photo album presents the first results of a collecting and cataloging project going on since 2004 in the Universities of Oldenburg and Jena, on the basis of 150 private war photo albums, which is also only the tip of the iceberg. 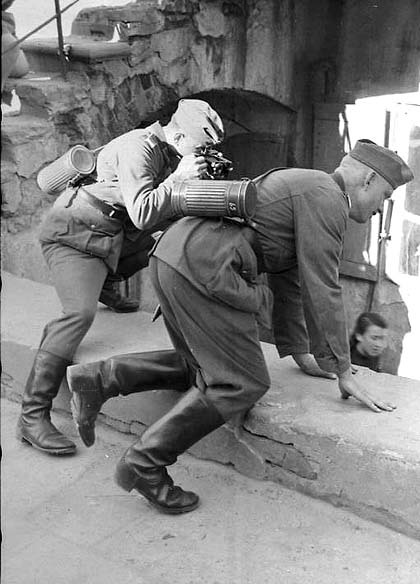 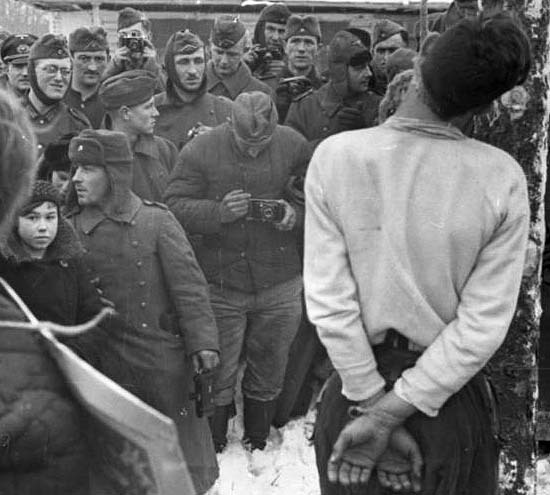 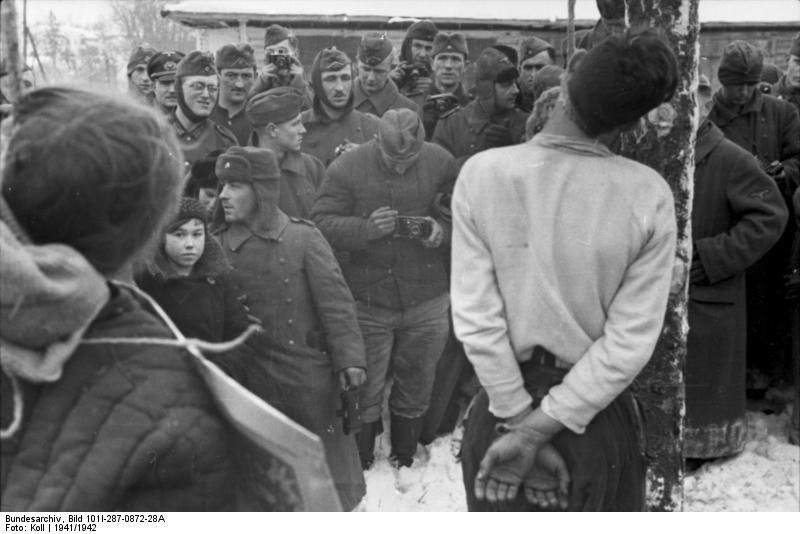 The Wehrmacht encouraged individual photographing and authorized the soldiers to use their personal cameras on the front. 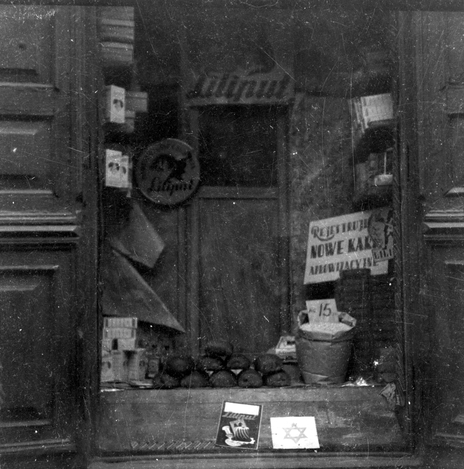 And the camera and raw material producers bombed them with advertisements: “Zeiss Tessar for your war memories!” “Voigtländer Kleinbildkamera to the final victory!” “Agfa Photos: a bridge between the front and the homeland!” And the soldiers seized the opportunity in a large number. 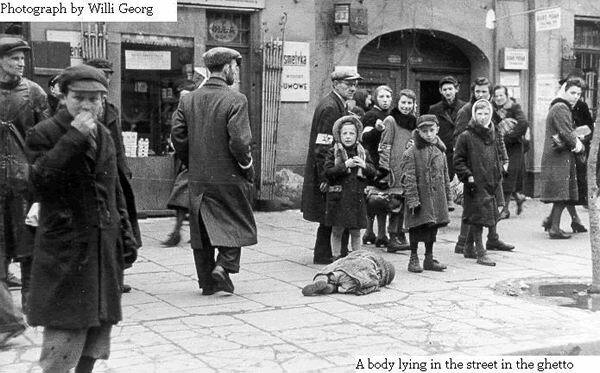 This photo we have already seen. 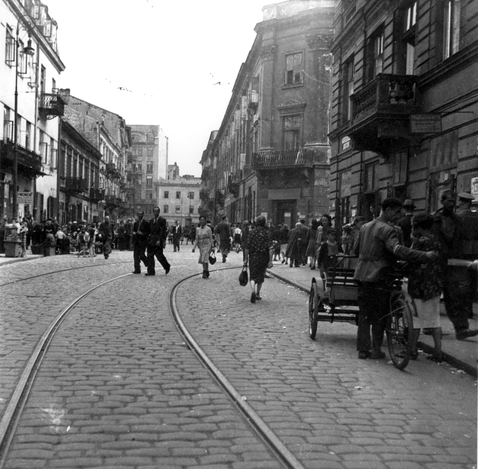 Two soldiers are taking photos on the ghetto of Lublin, while the third one, Johannes Hähle, on them, in May 1941, when they made an excursion in three to the Jewish quarter of the occupied city. 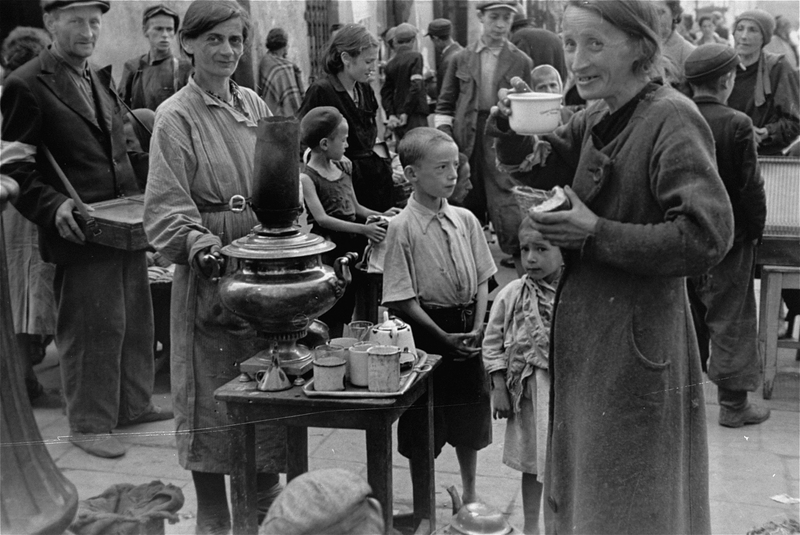 German soldiers, it seems, were attracted to the exotic, to the alien other, the population of the Ostgebiete living in archaic conditions, and above all, the par excellence “Other” according to the official ideology, the inhabitants of the ghettos. 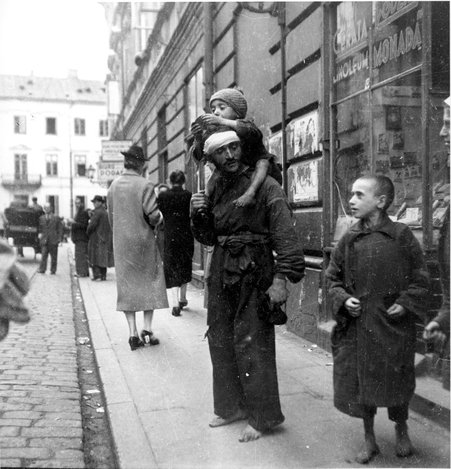 This is proved by the fact that the photo material which came to light in recent years includes even two series made by two German soldiers in 1941 on their day off in the Warsaw ghetto, with a difference of just some months. 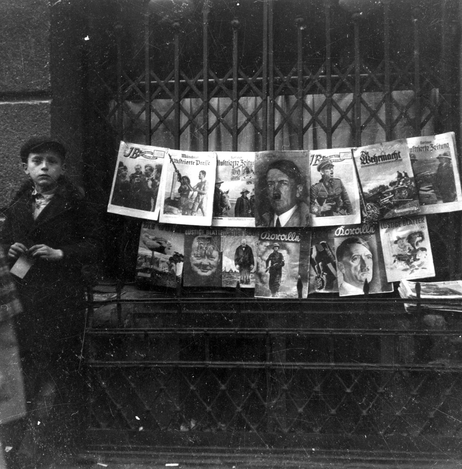 We present both on the basis of the selection published by one-way in these days. 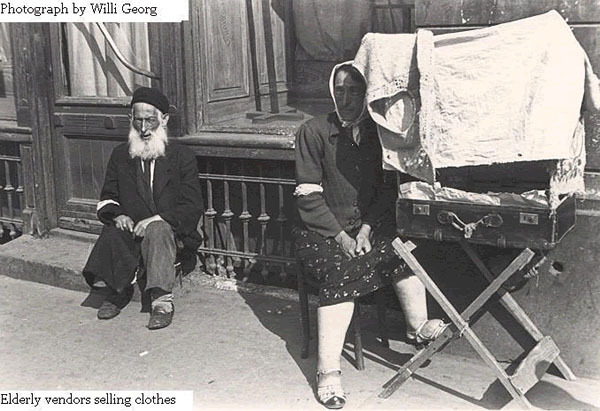 The radio operator Willy Georg from Münster, who was born in 1911 and thus enlisted as an “old soldier”, was an accomplished photographer, and in the army he also supplemented his income by taking pictures of his fellow soldiers with his Leica camera. 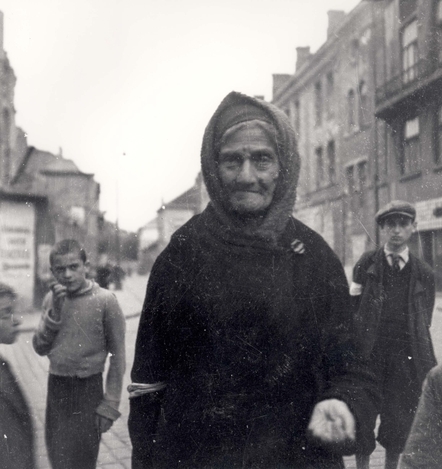 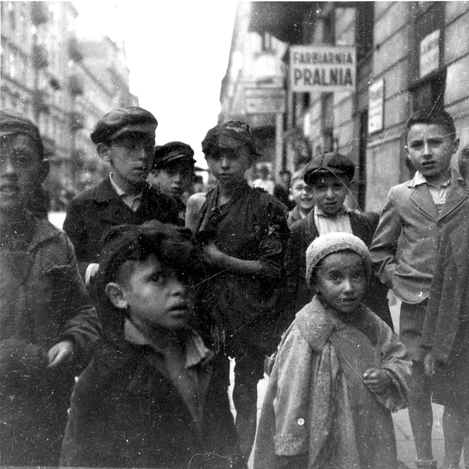 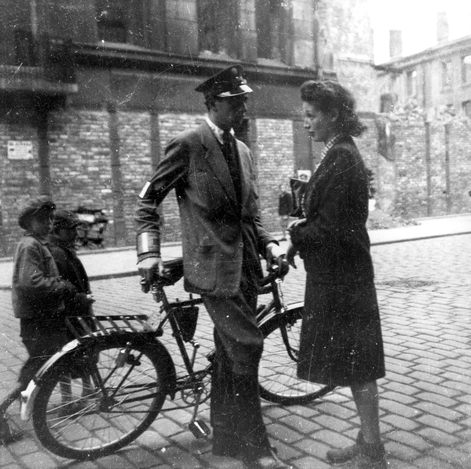 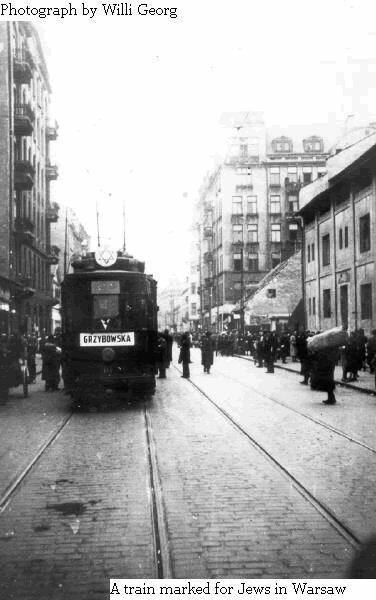 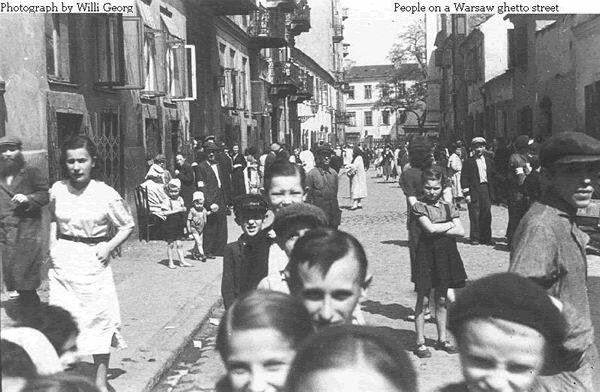 In the summer of 1941, when their unit was stationed in Warsaw, he was issued a pass by one of his officers and instructed to enter the enclosed ghetto and take photos of what he saw there. 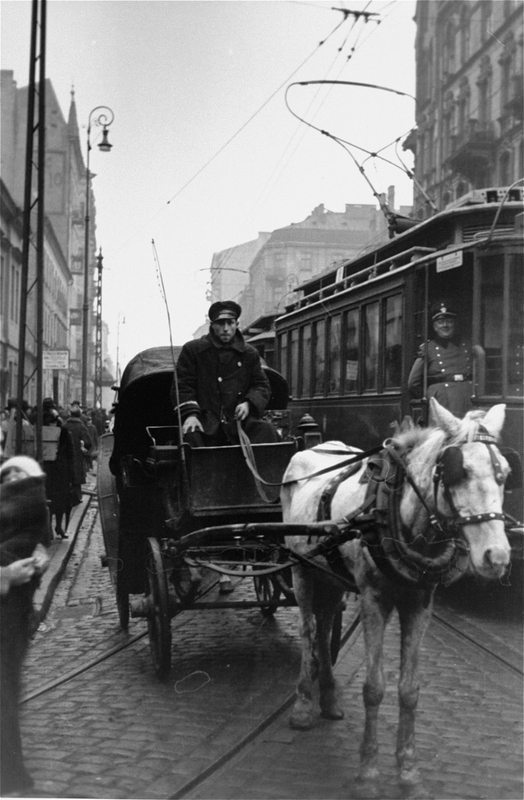 Georg shot four rolls of films and began to shoot a fifth one when the German military police stopped him. 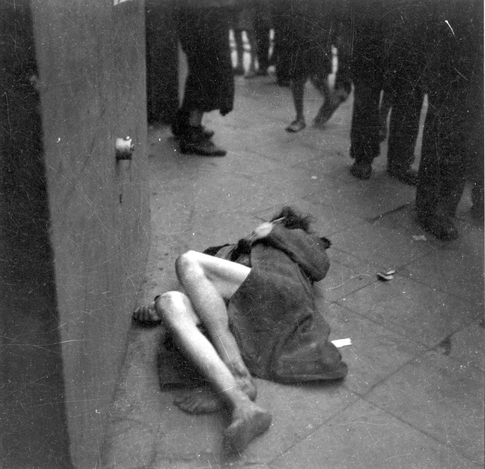 They confiscated the film in his camera, but fortunately they did not check his pockets before escorting him out of the ghetto. 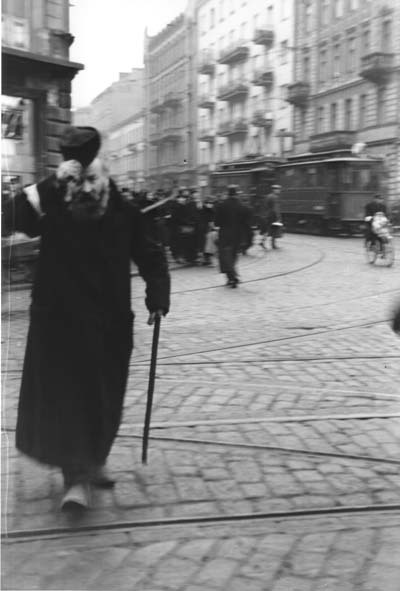 Georg developed the four rolls in Warsaw and preserved the photos in the next fifty years together with his other war pictures. 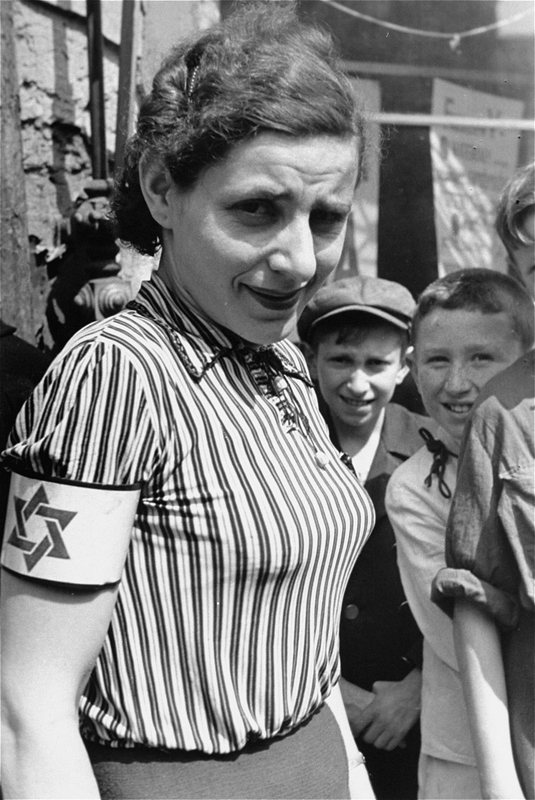 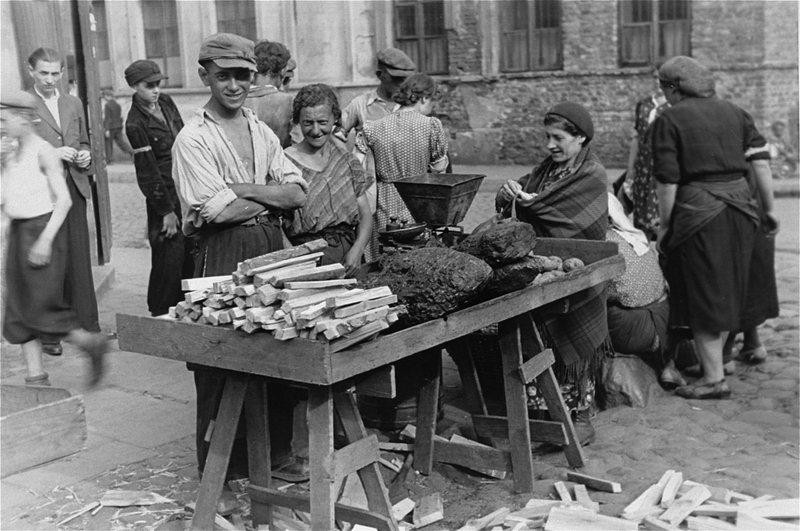 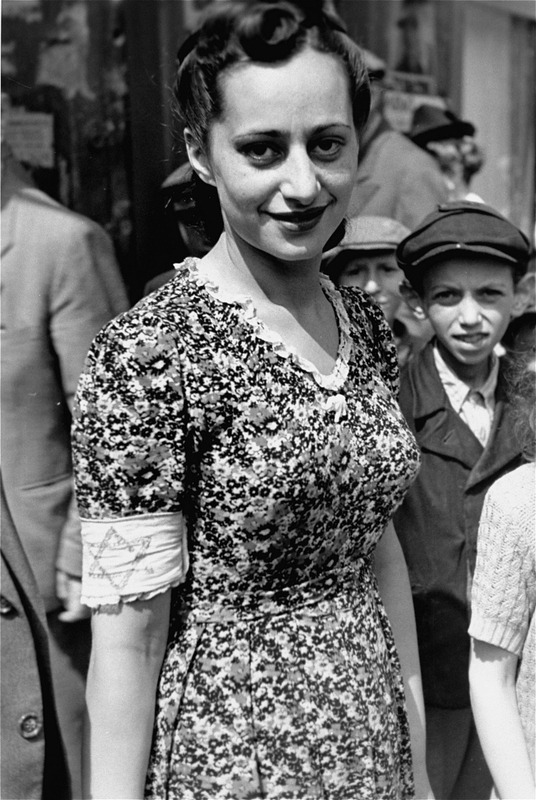 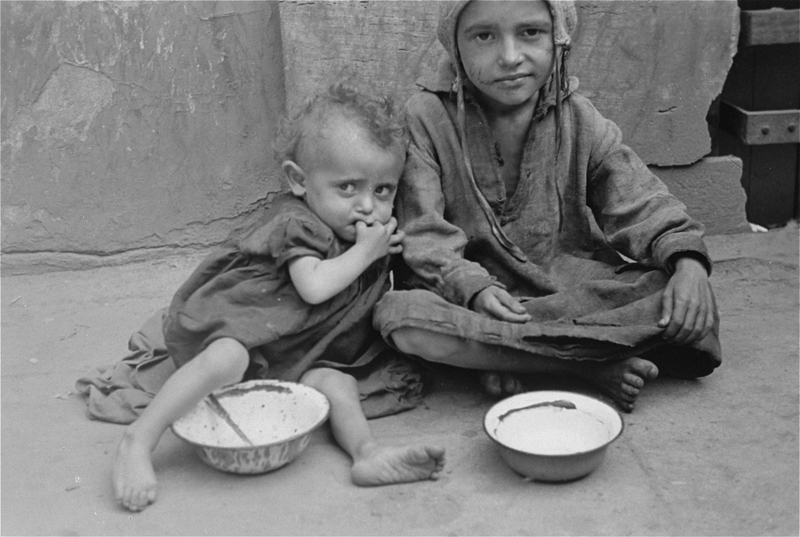 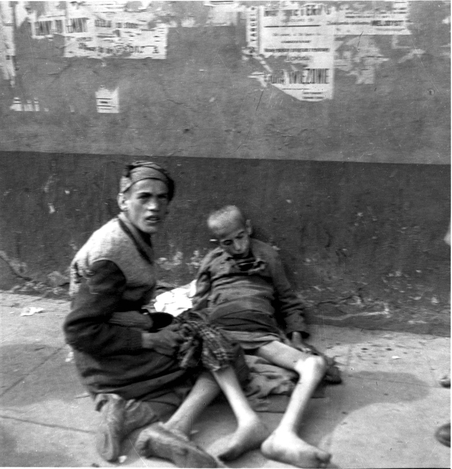 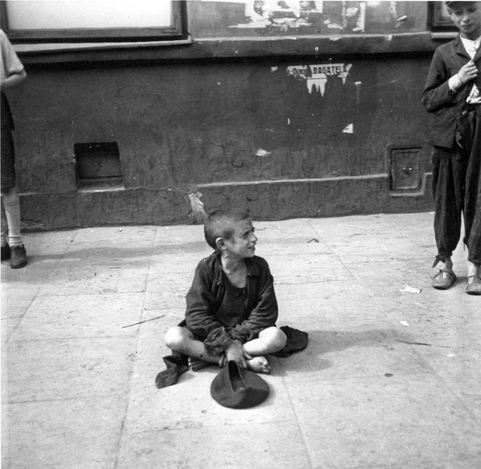 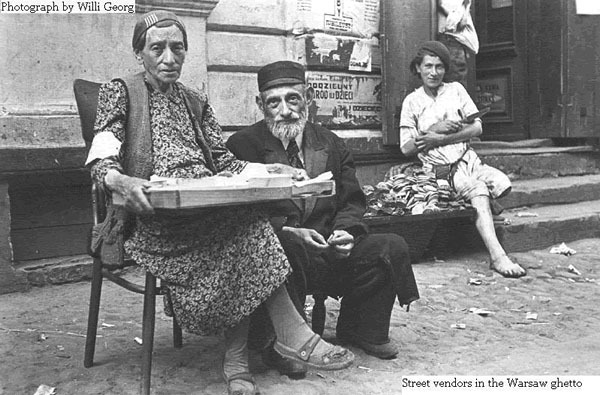 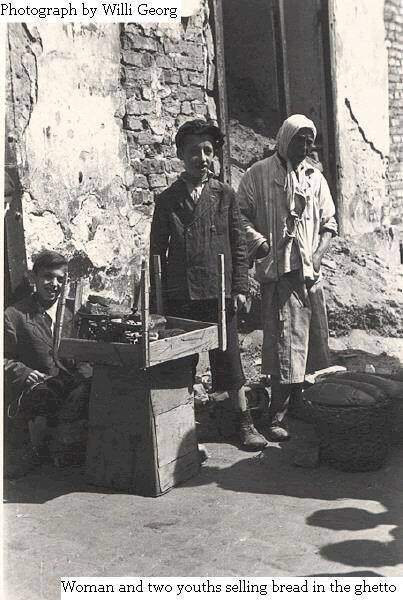 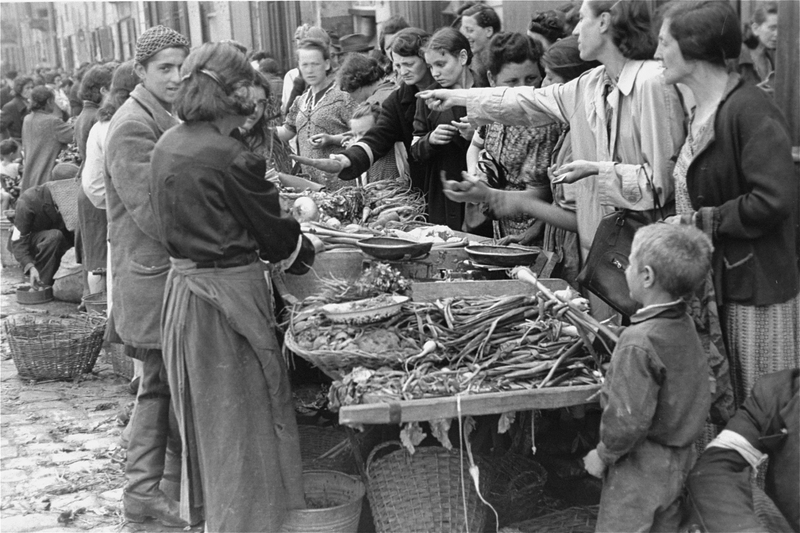 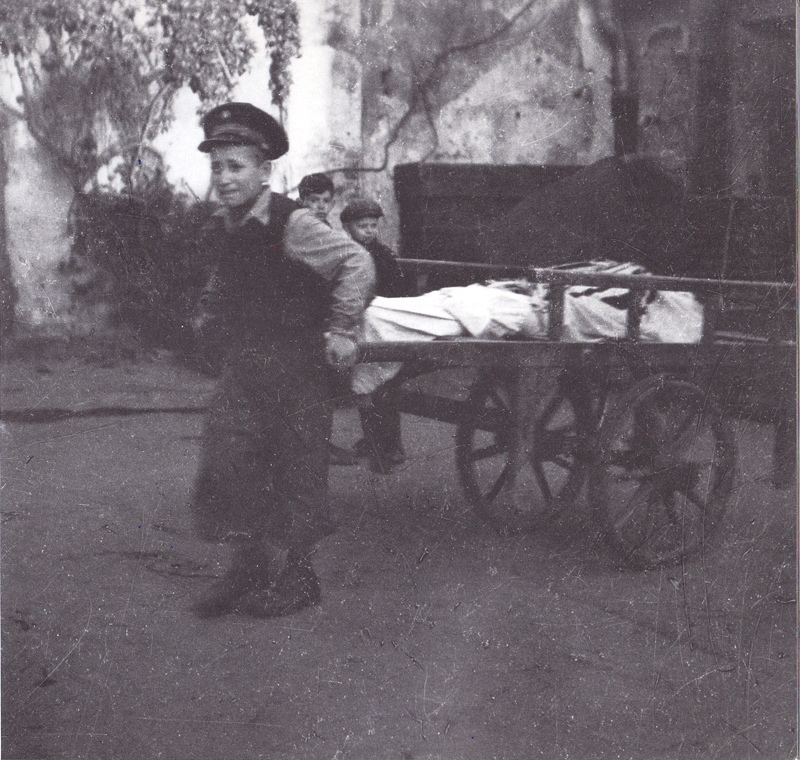 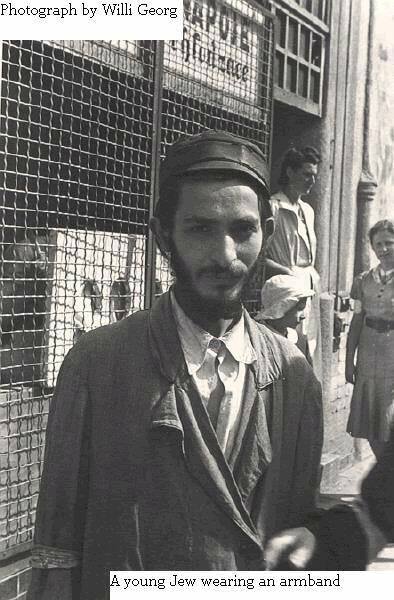 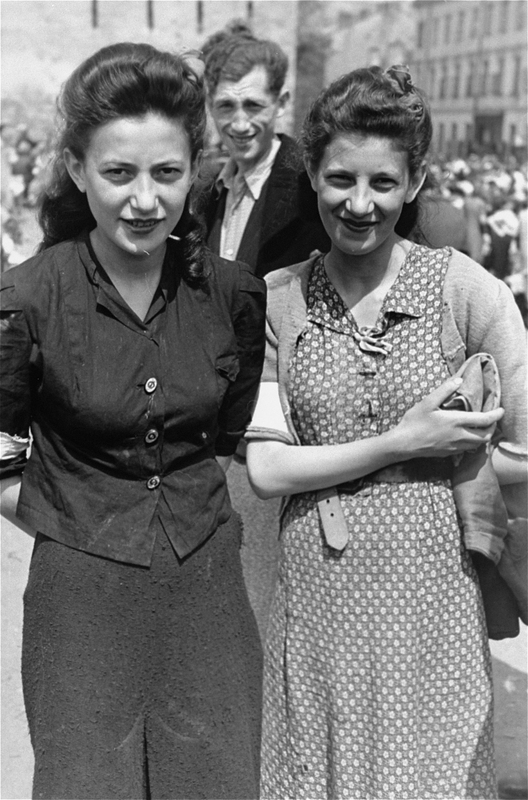 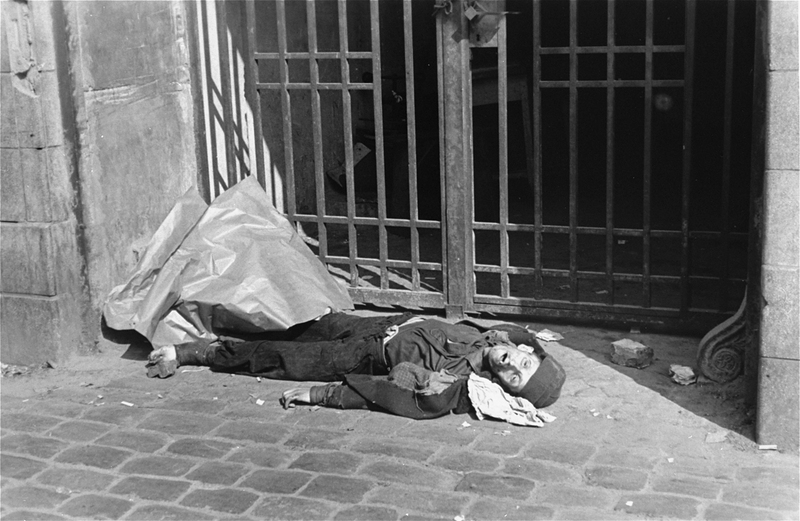 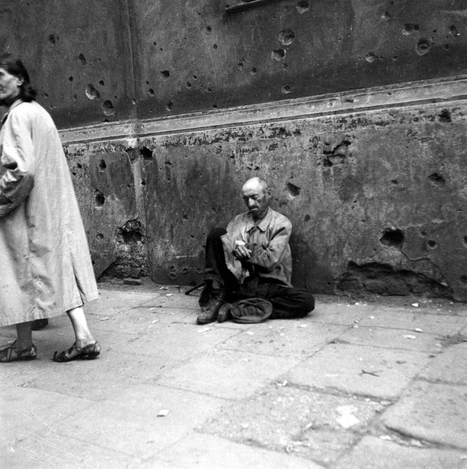 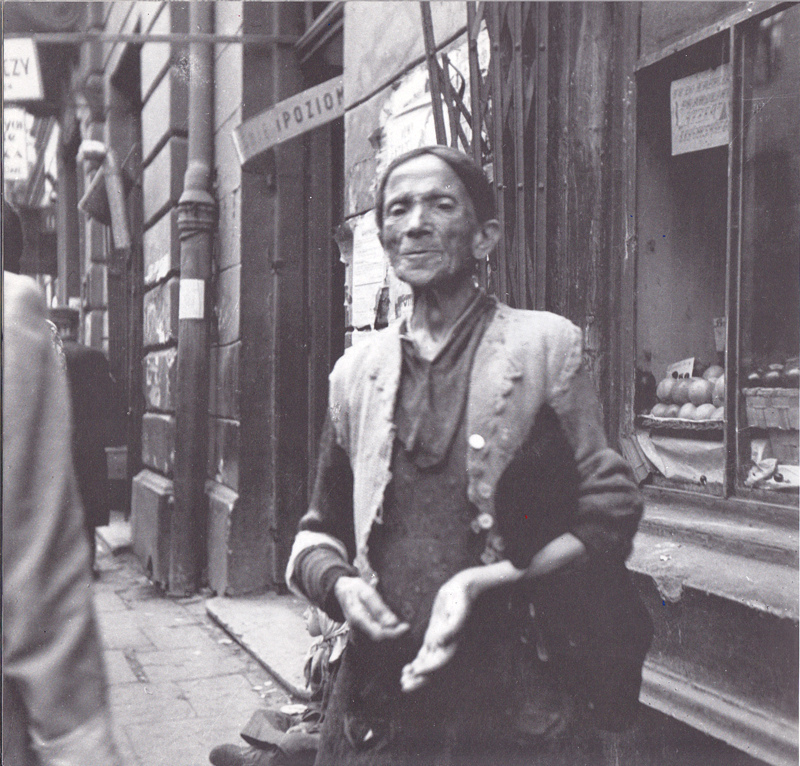 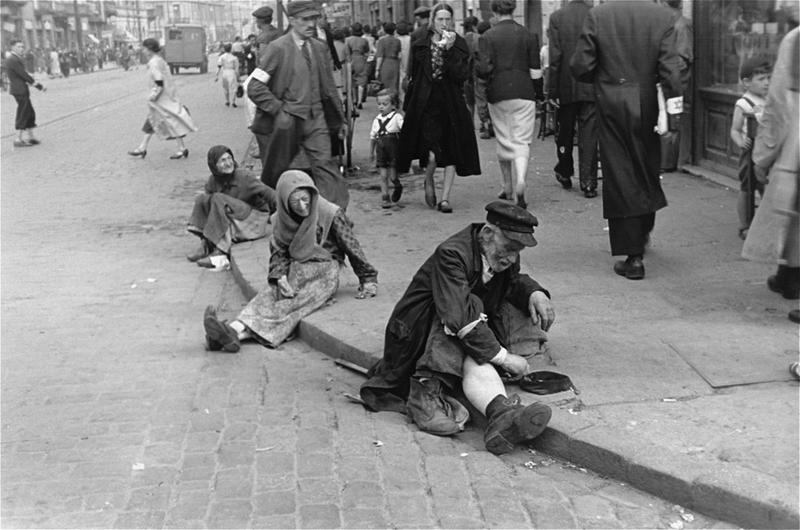 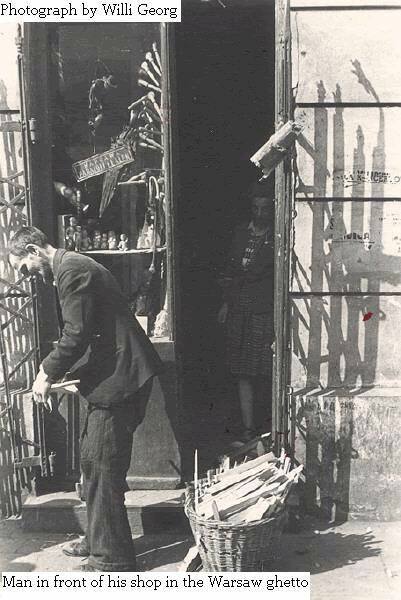 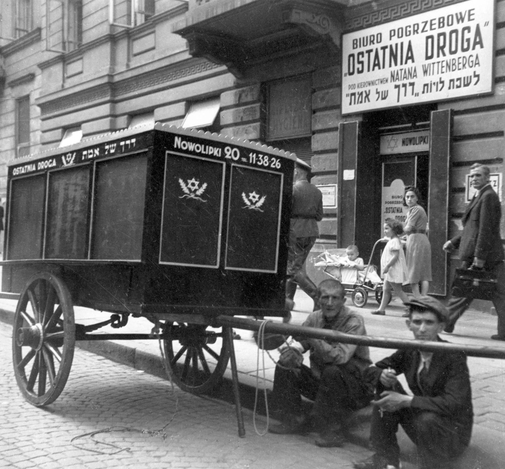 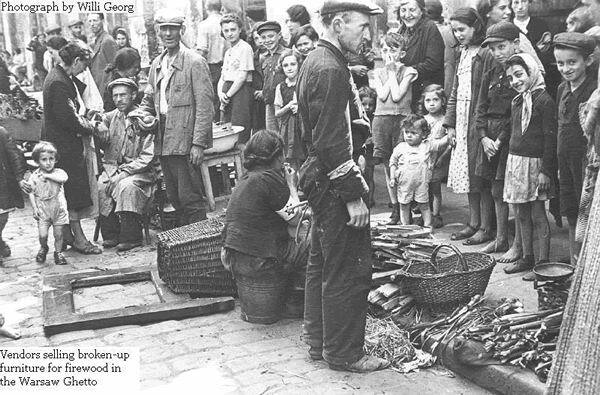 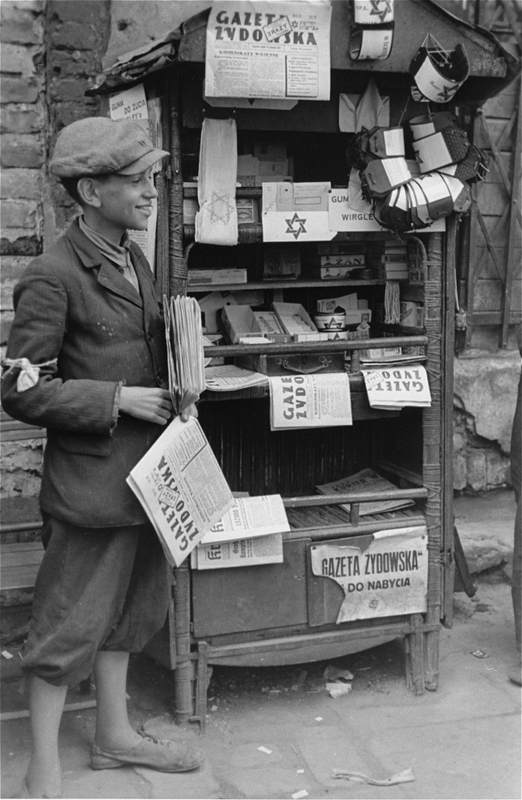 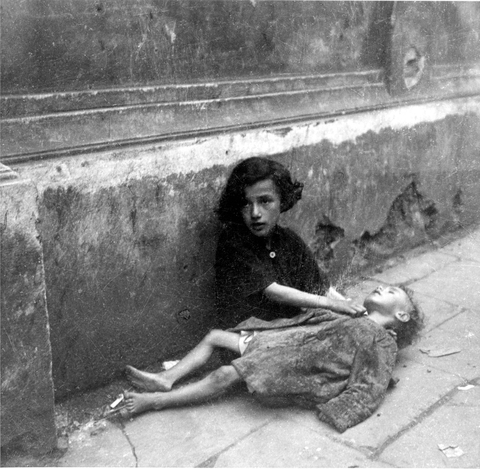 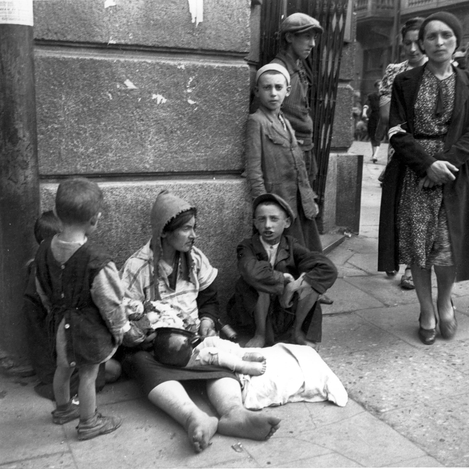 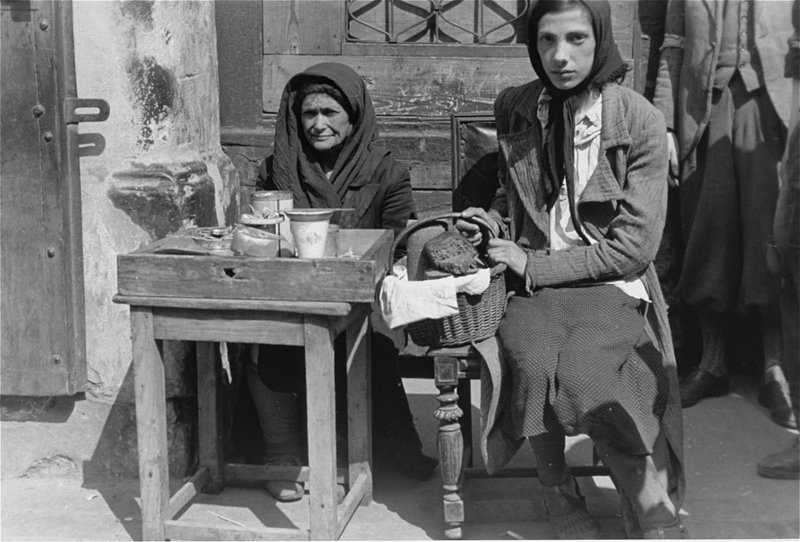 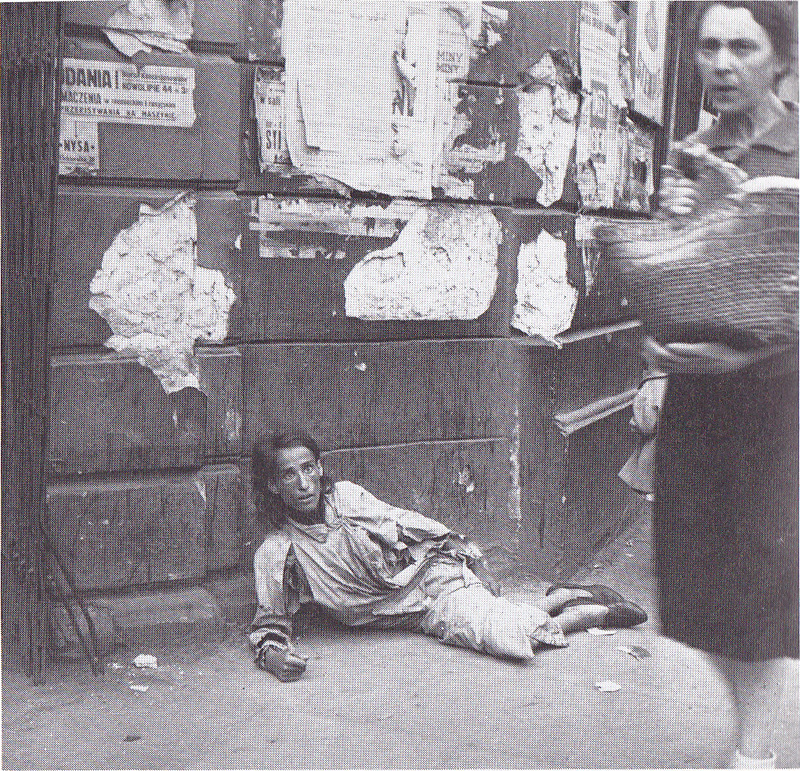 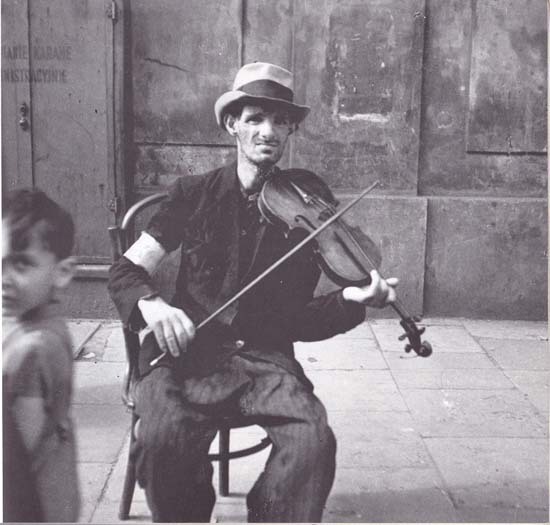 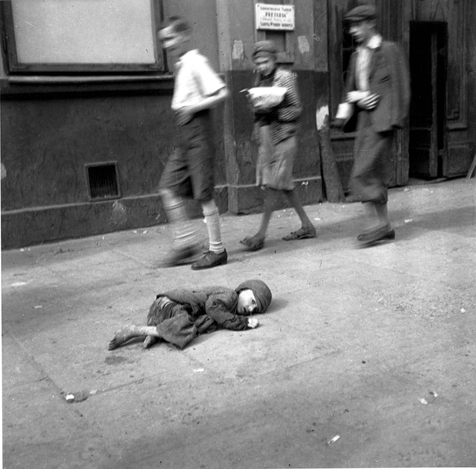 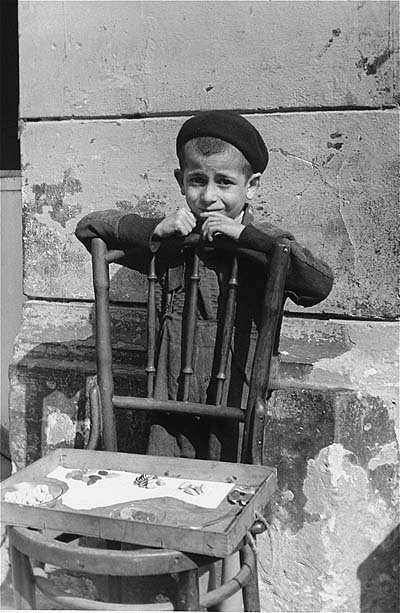 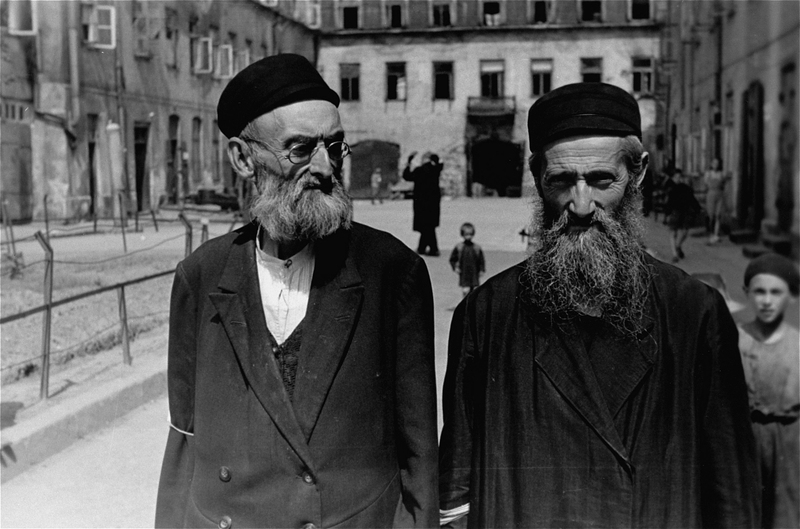 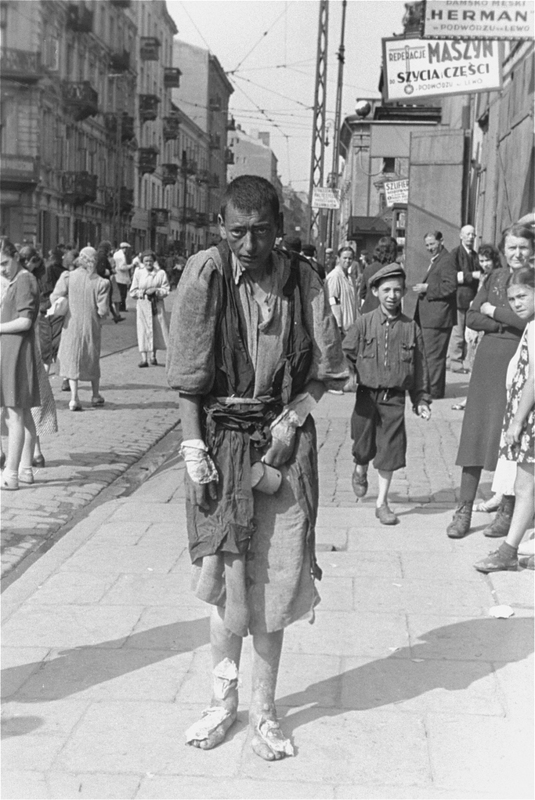 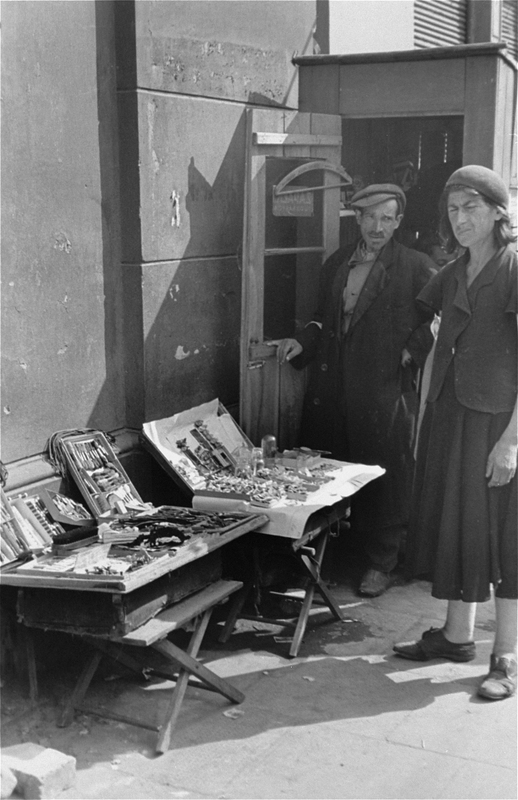 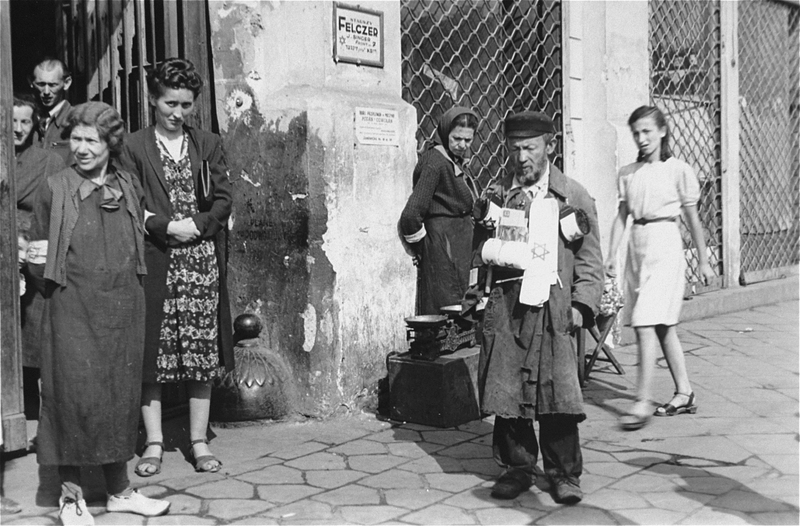 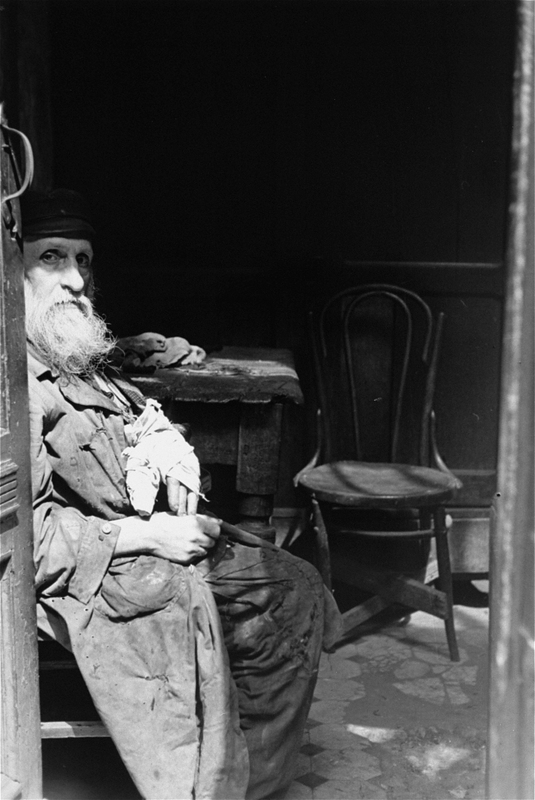 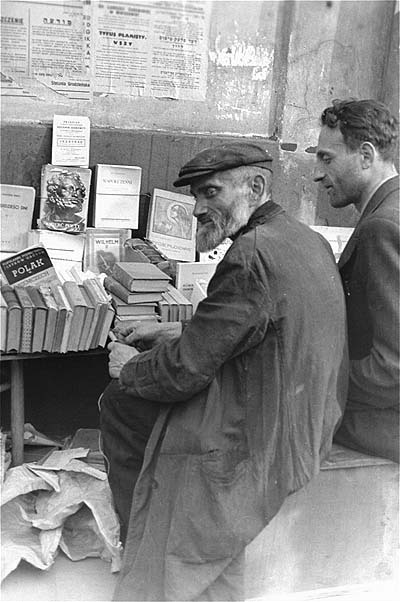 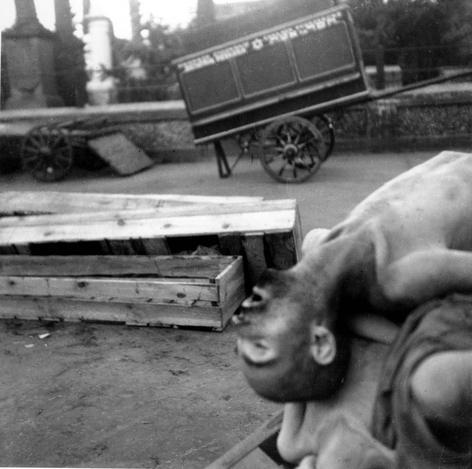 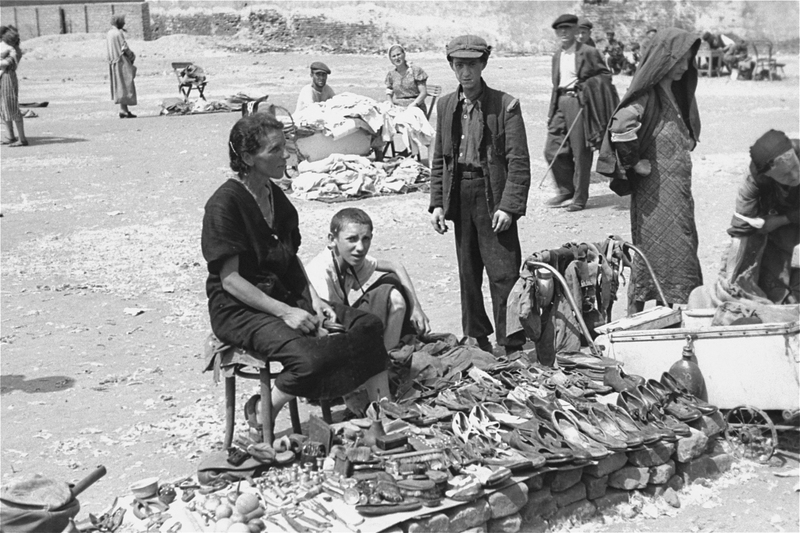 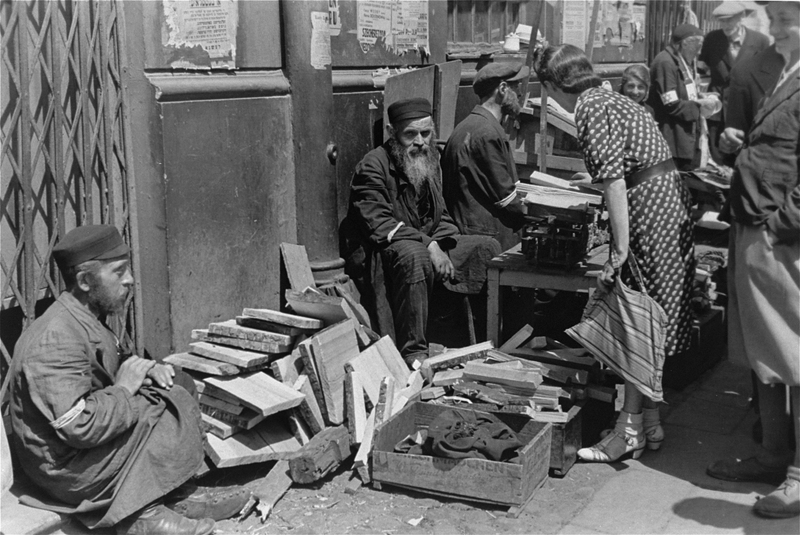 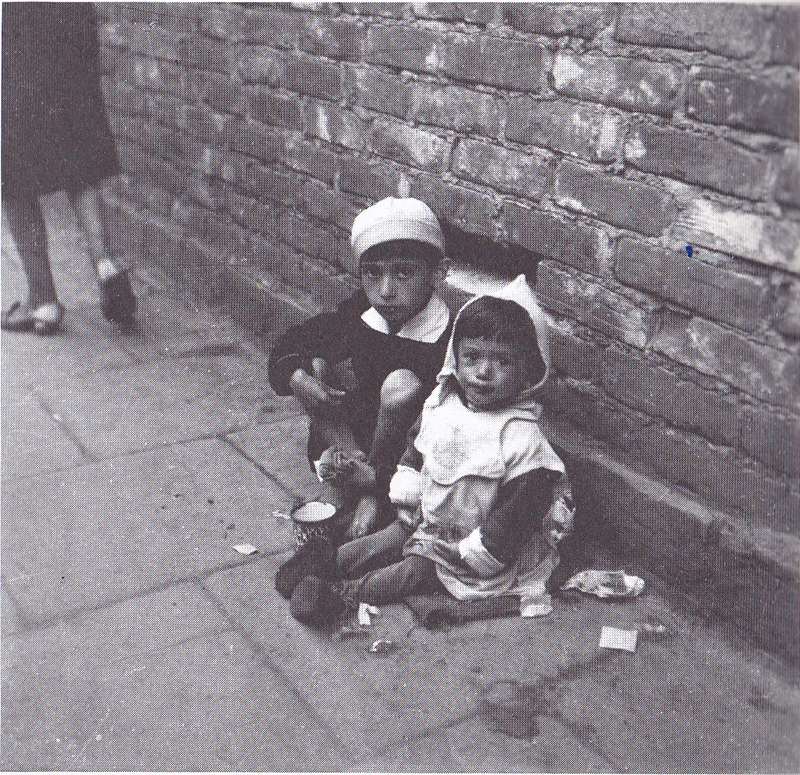 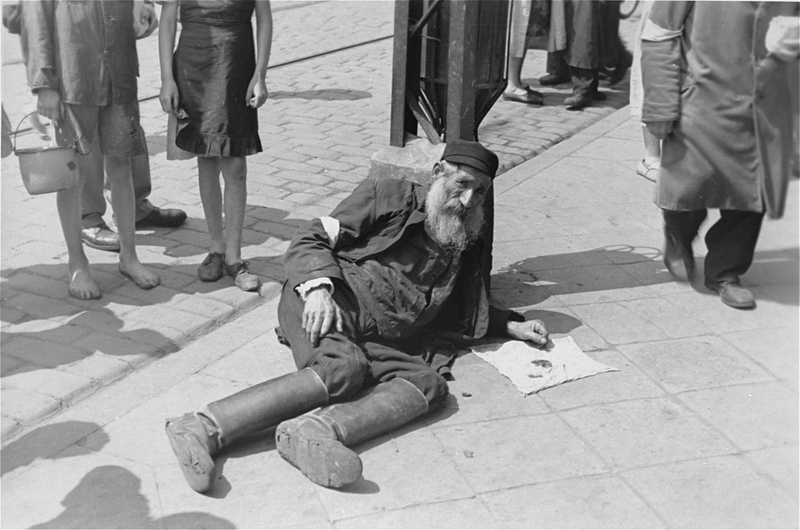 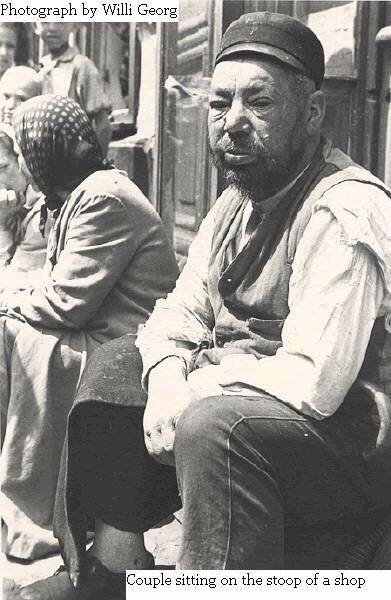 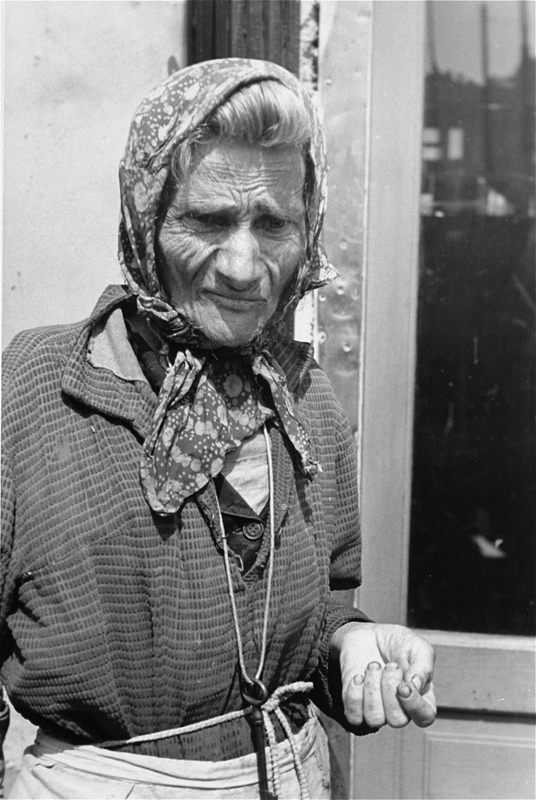 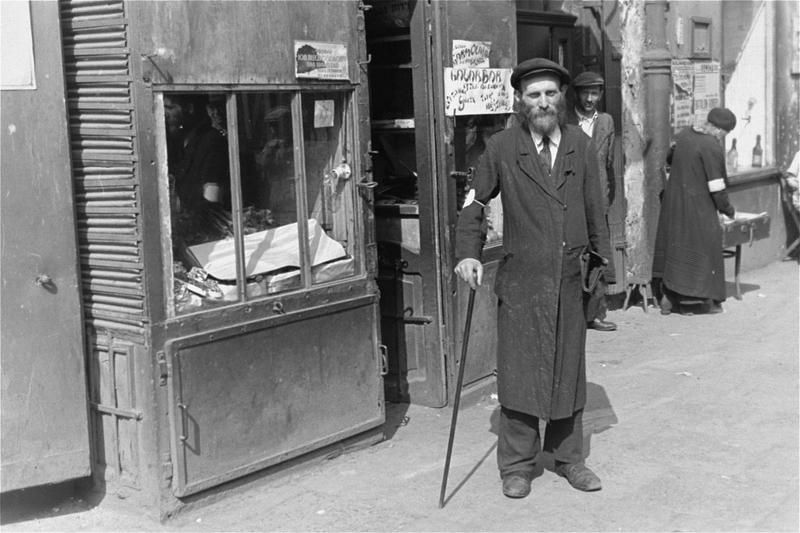 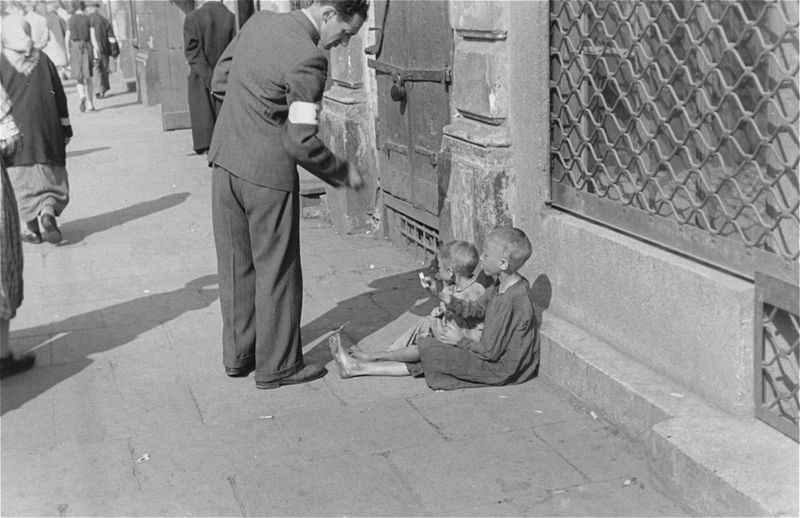 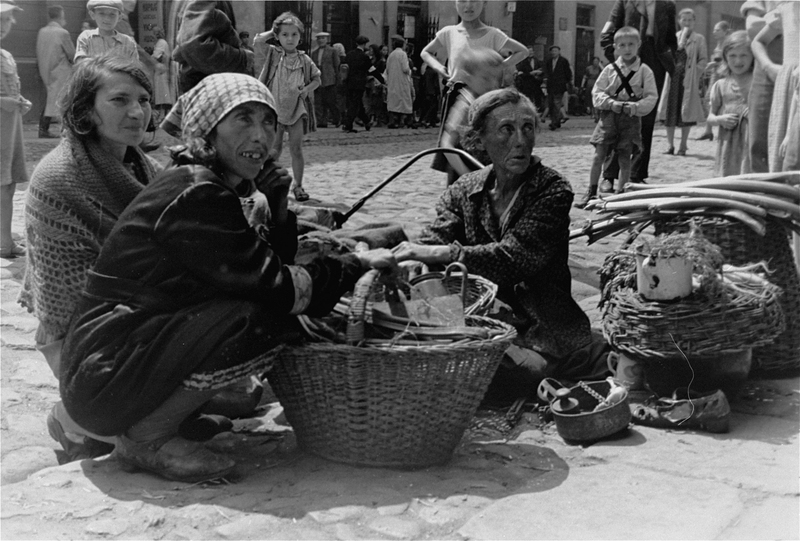 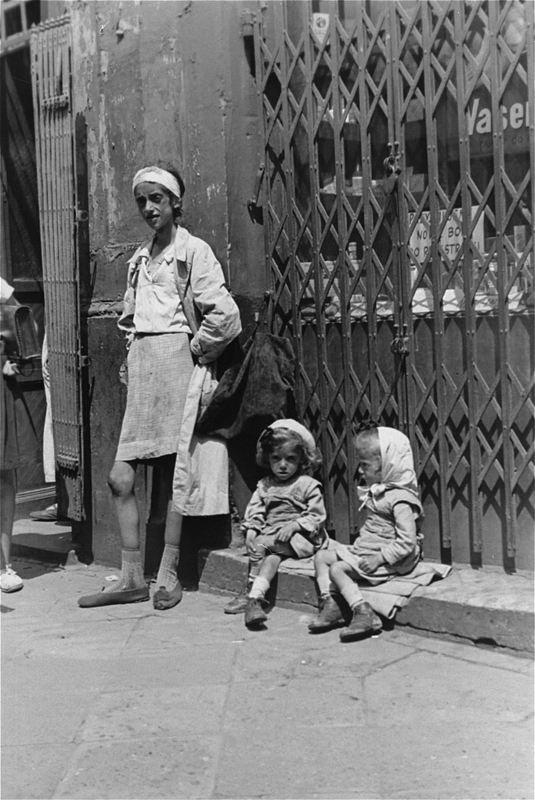 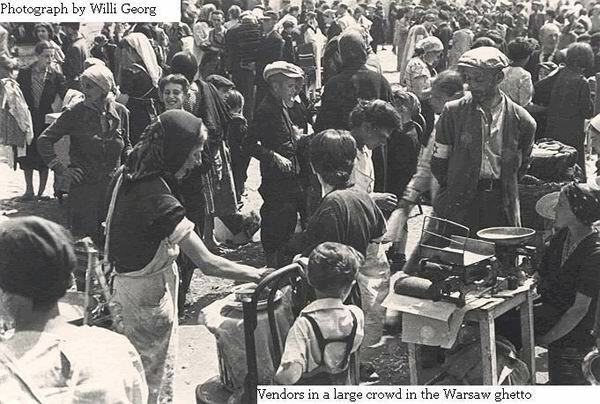 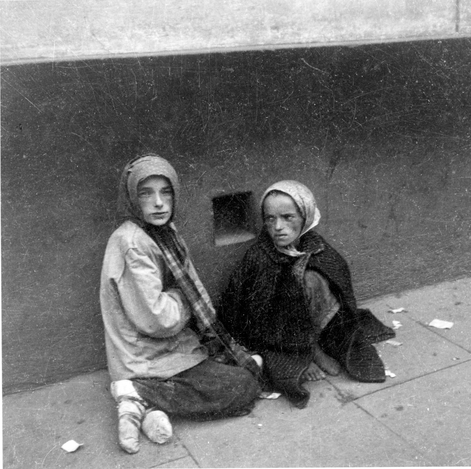 In the late 1980s he met Rafael Scharf from London, a researcher of Polish-Jewish studies, to whom he gave these photos and who published them in 1993 in the book In the Warsaw Ghetto: Summer 1941. 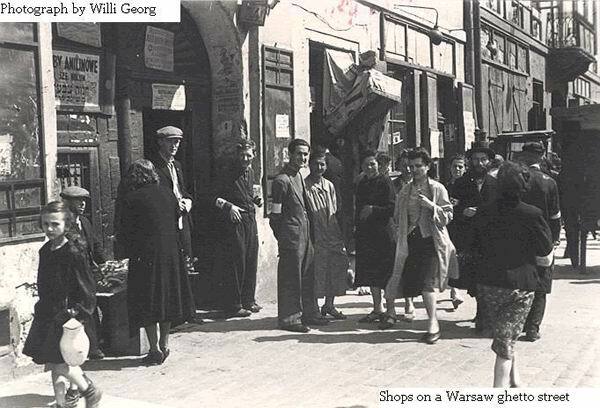 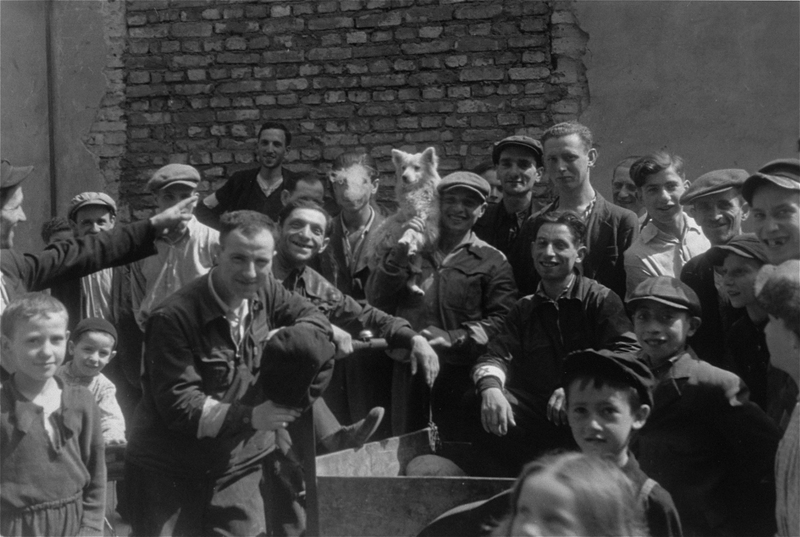 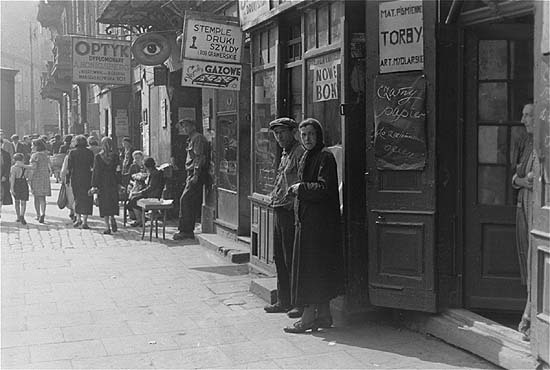 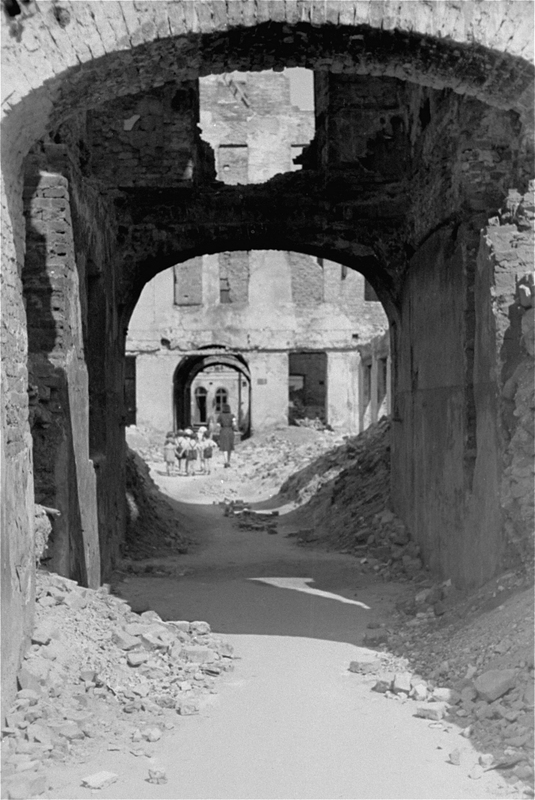 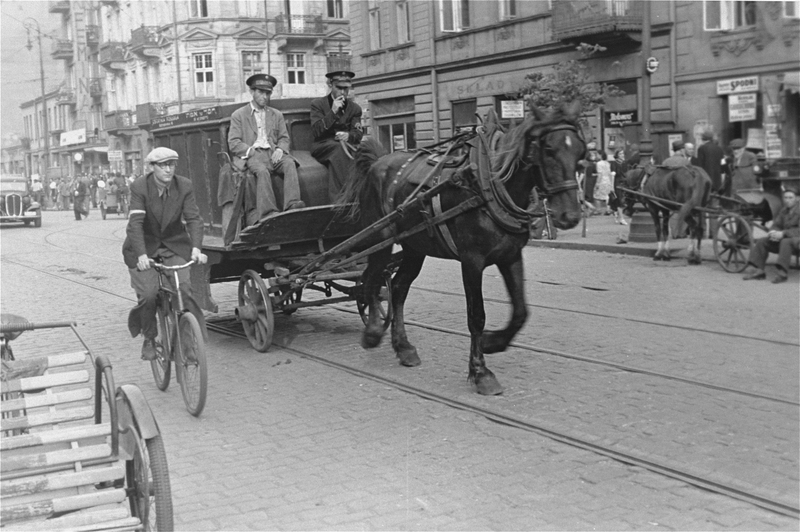 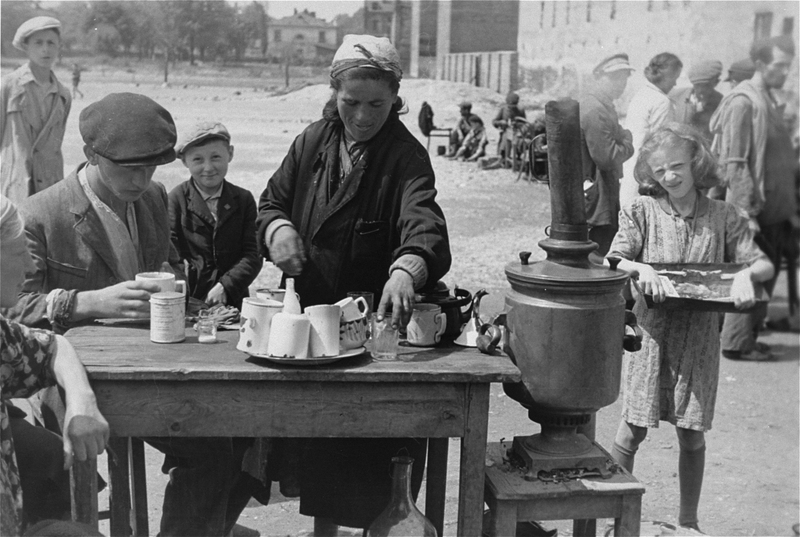 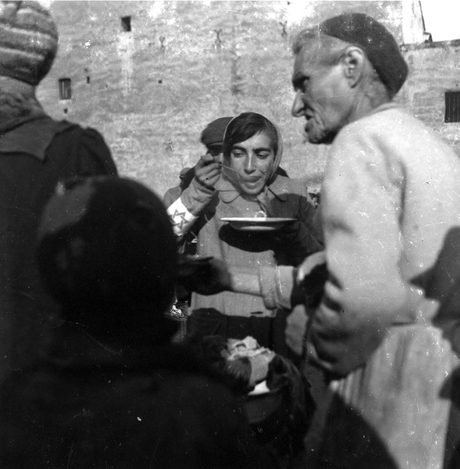 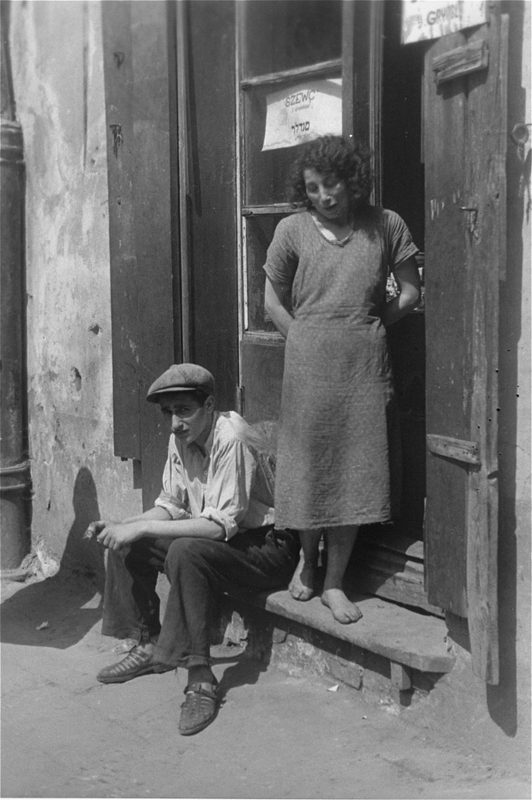 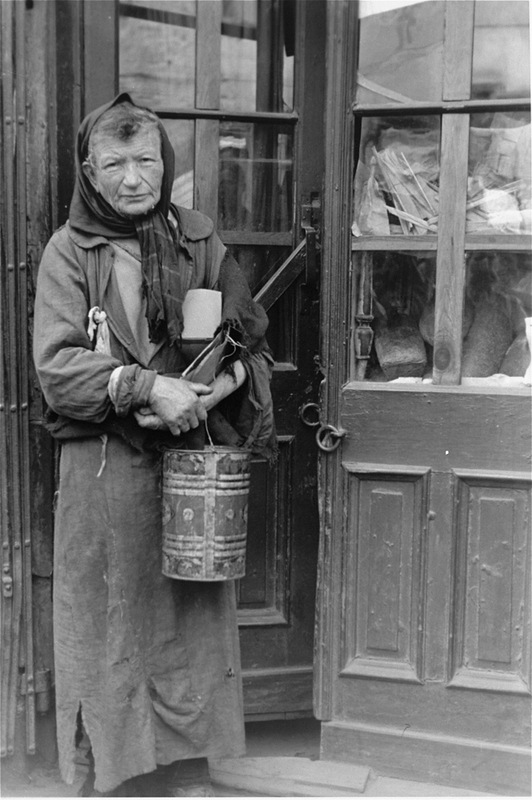 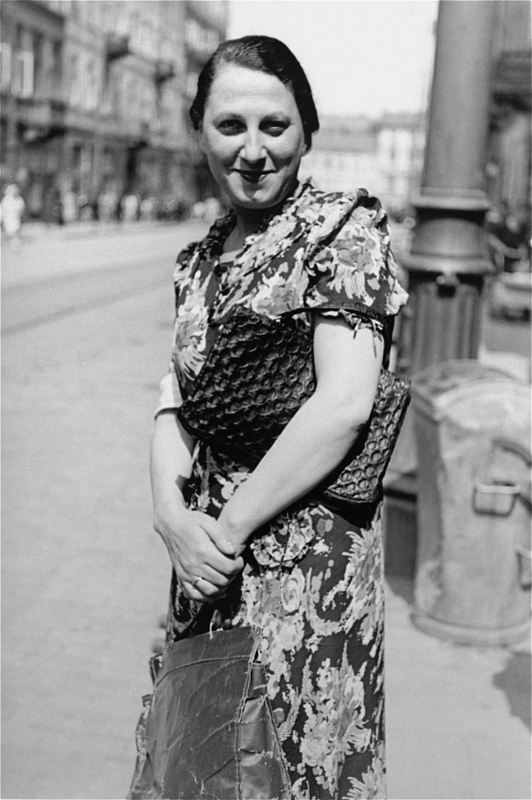 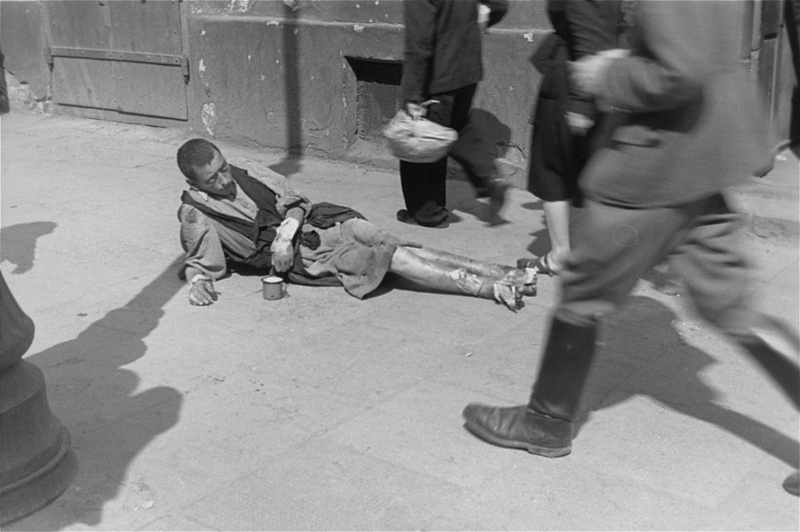 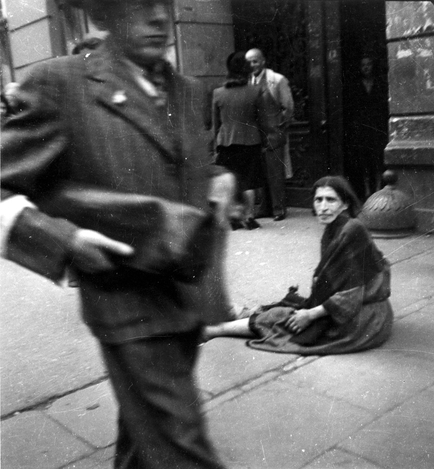 Another photographer of the Warsaw ghetto, Sergeant Heinrich Jöst – in civilian life, a hotel owner – had a day off from his unit stationed in Warsaw on 19 September, the day of Kiev’s occupation, and he made a whole day photo trip in the ghetto. 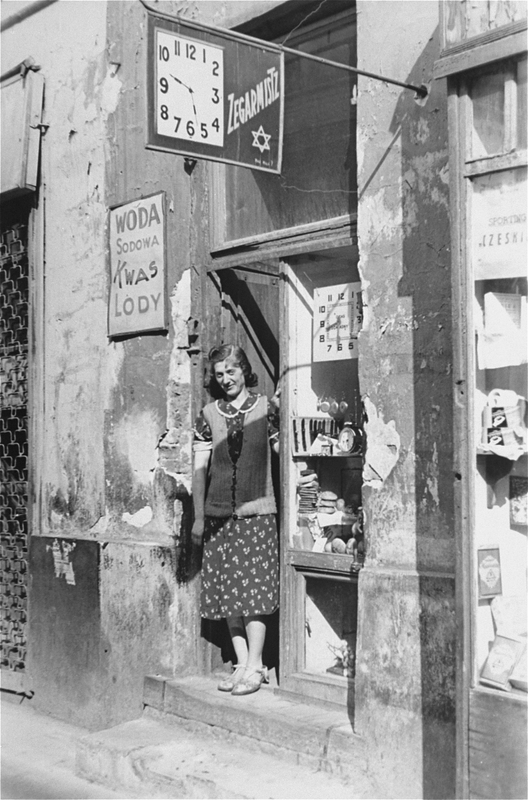 It is also possible – even likely – that he went there on more than one occasion, as one day perhaps would have not been enough for his hundred and sixty pictures taken on several locations. 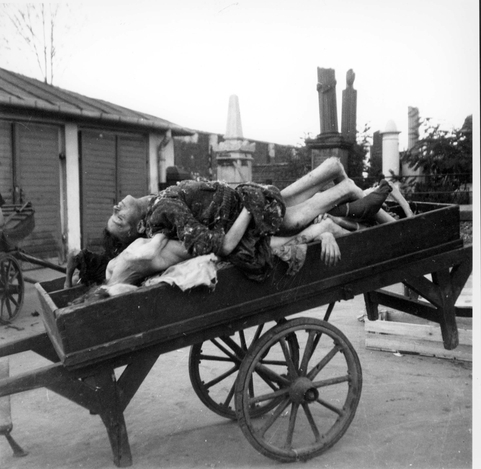 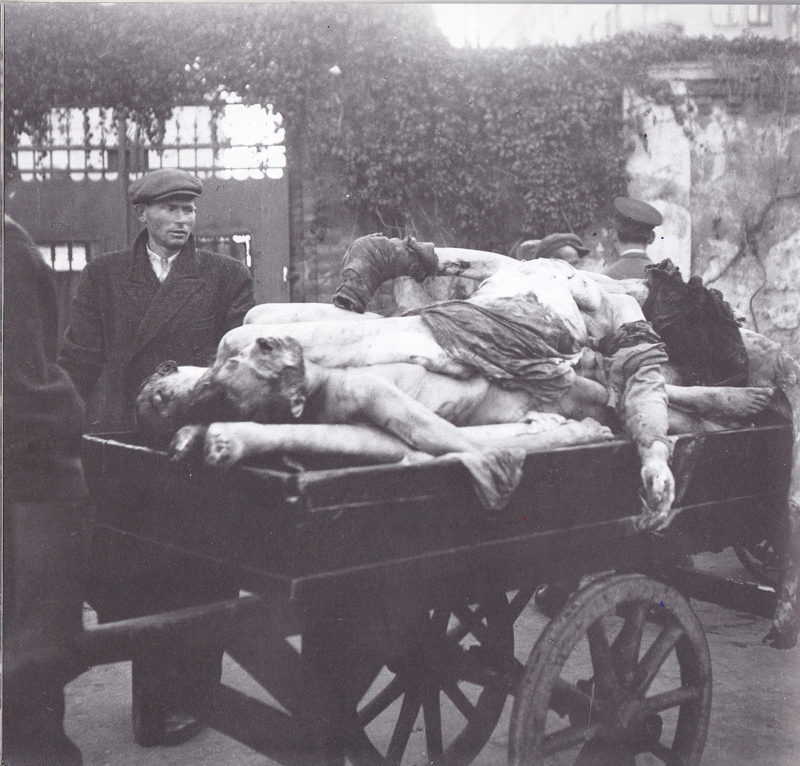 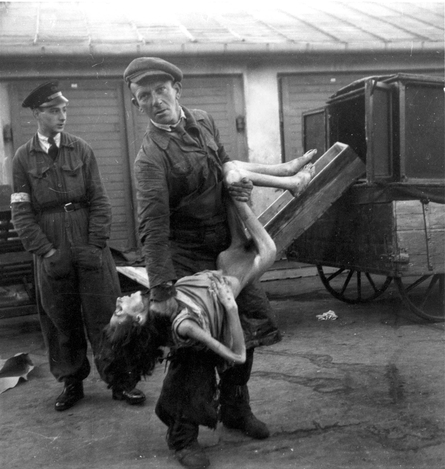 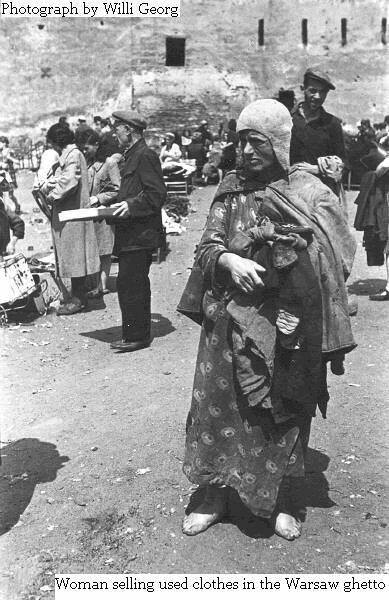 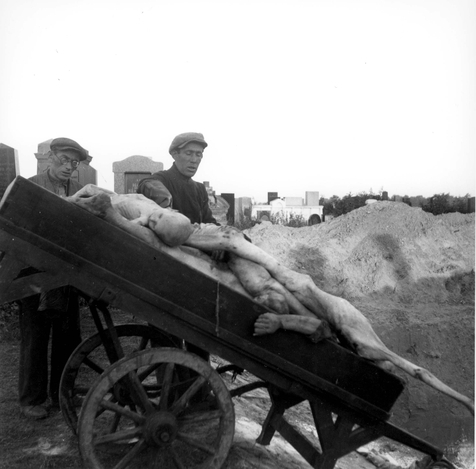 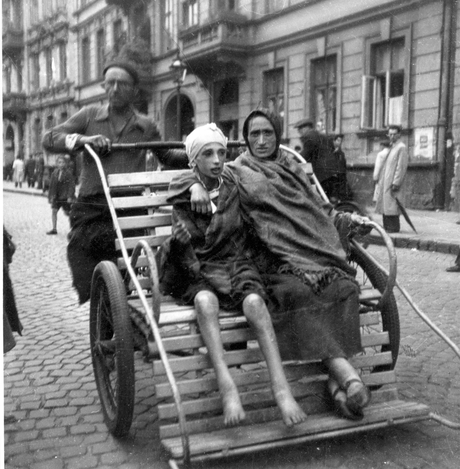 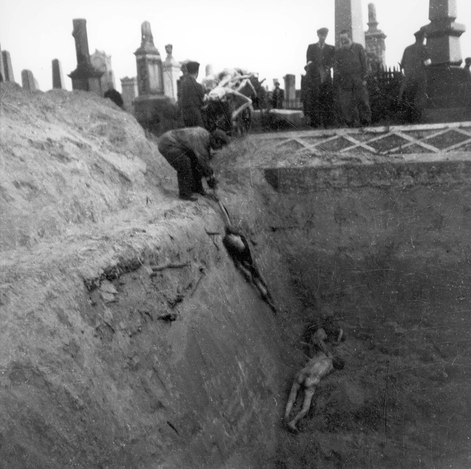 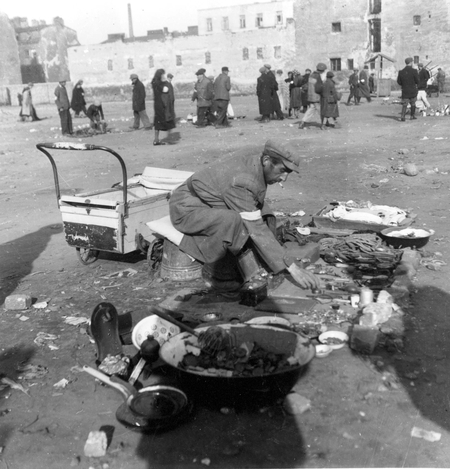 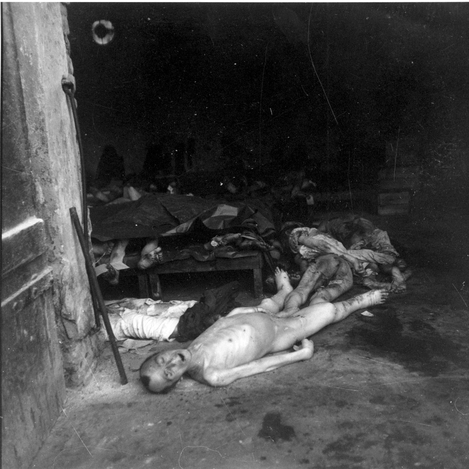 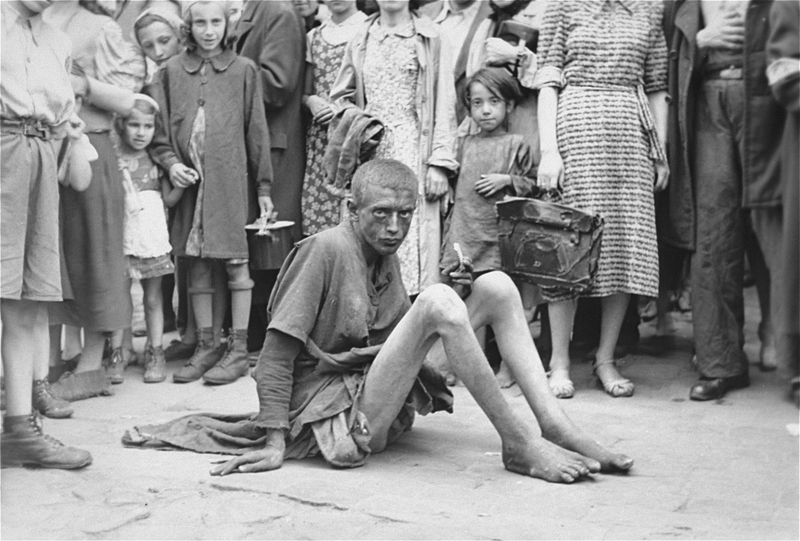 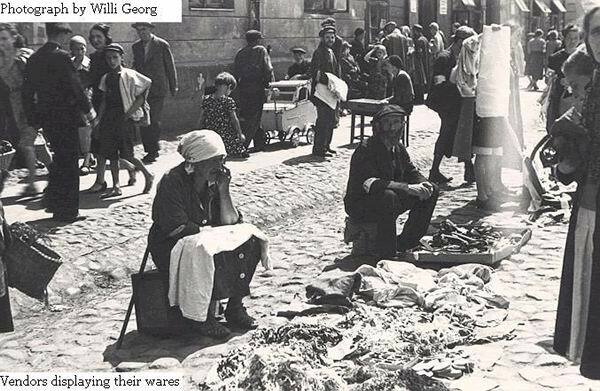 His photos are not as professional as Georg’s, but they show a much closer look on the misery of the ghetto, the starvation and mass graves. 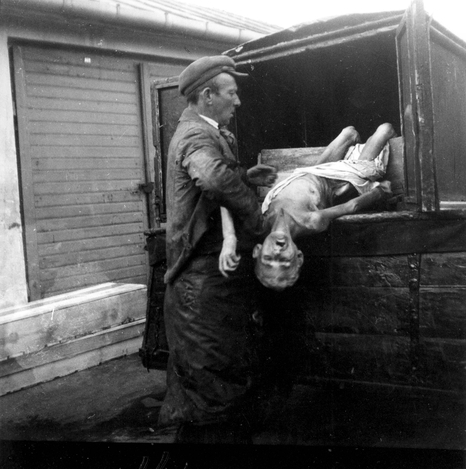 One year before his death, in 1982 Jöst handed over the photos to German journalist Günther Schwarberg, who also gave a copy to the Yad Vashem in Israel. 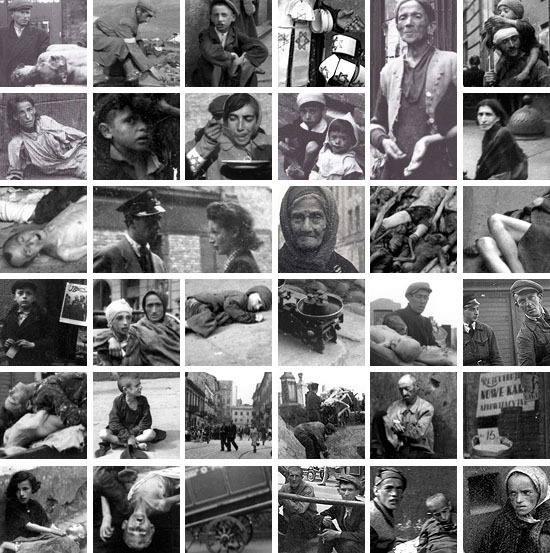 They exhibited and also included them in their homepage (although there they are erroneously attributed to war criminal Heinz Jost). 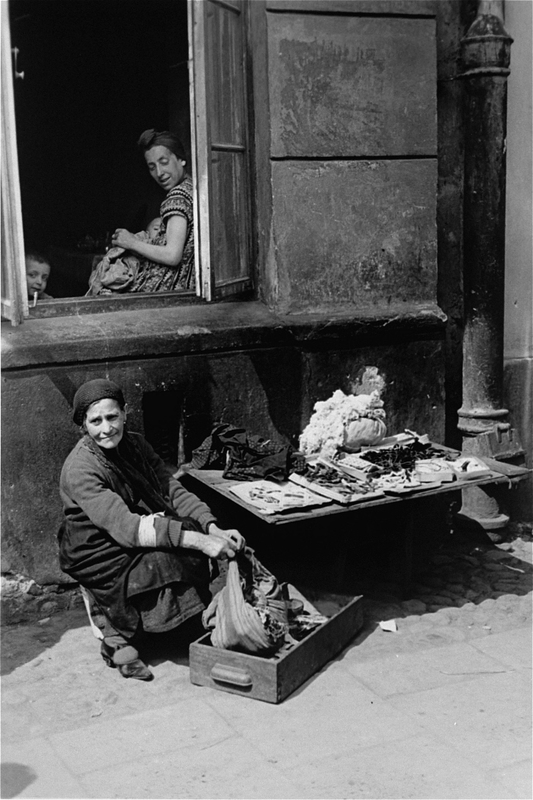 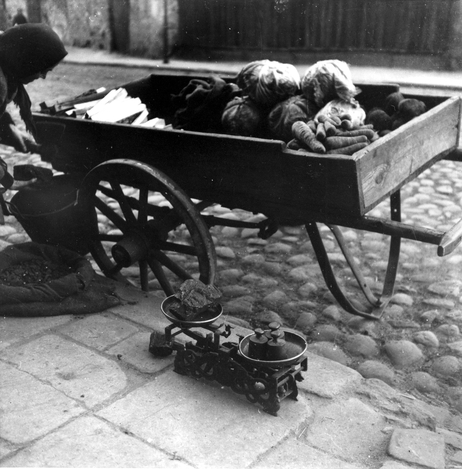 Günther Schwarberg published the pictures in book form in 2001, with the title In the Ghetto of Warsaw: Heinrich Jöst’s Photographs. 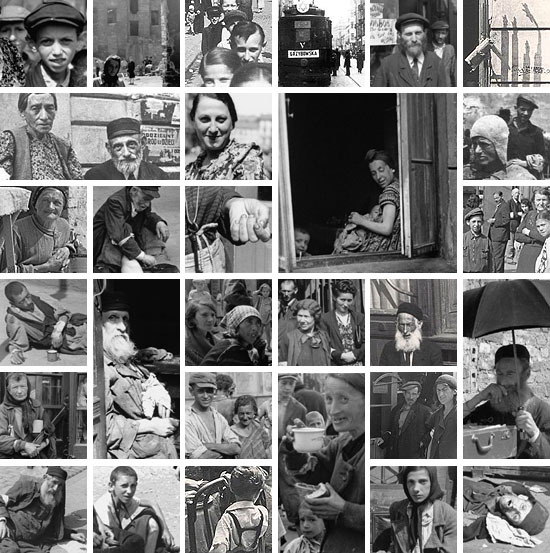 Thank you for the raw reportage. 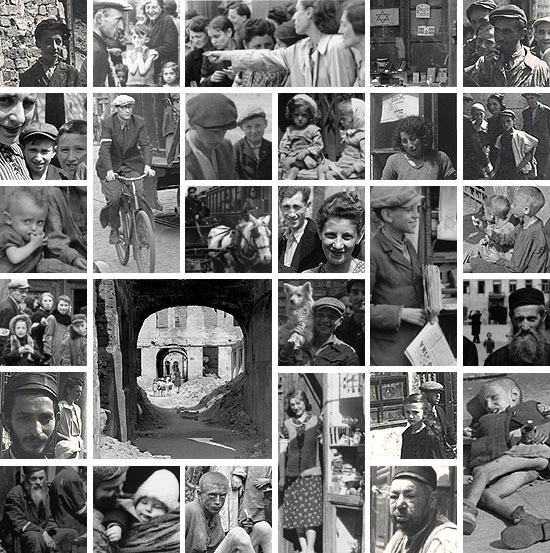 Those fotos must to be seen. 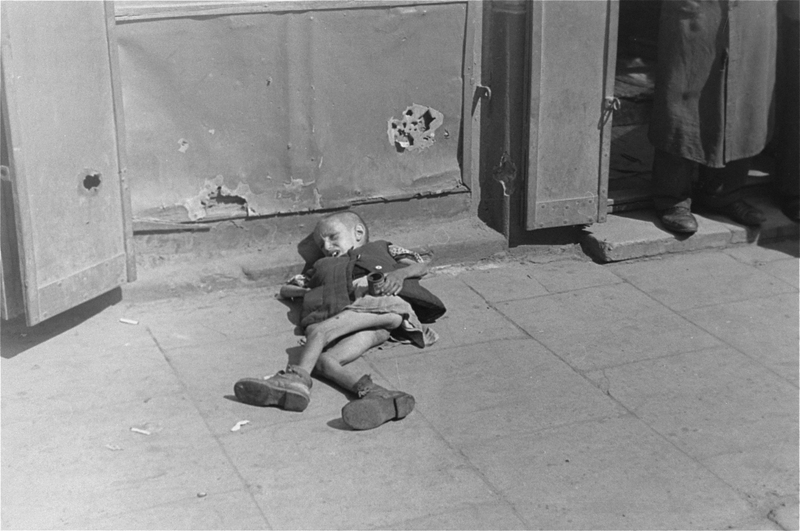 But, having seen half of them, I had to give up. 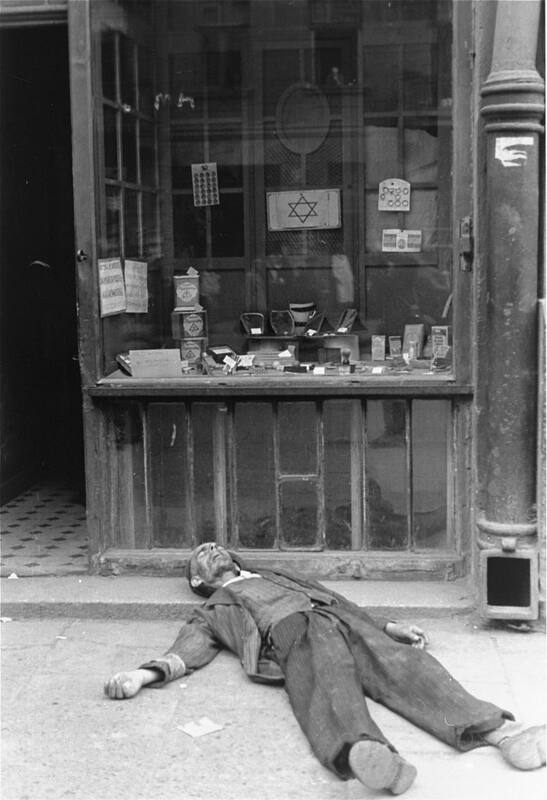 Too much pain, too much suffering, too much absence of Shekinah. 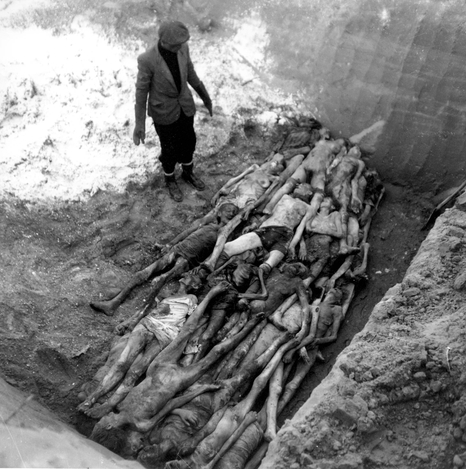 So much suffering: an overflow of Shekinah. 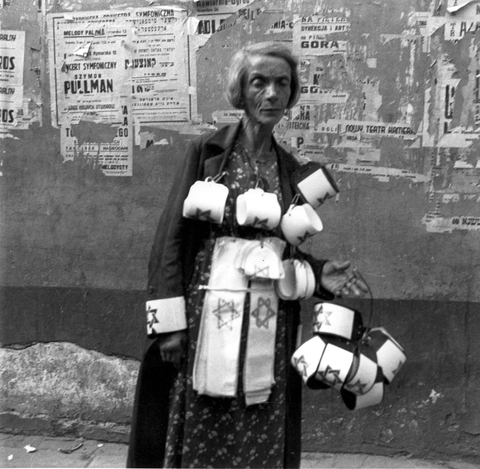 It’s a matter of faith, of course. 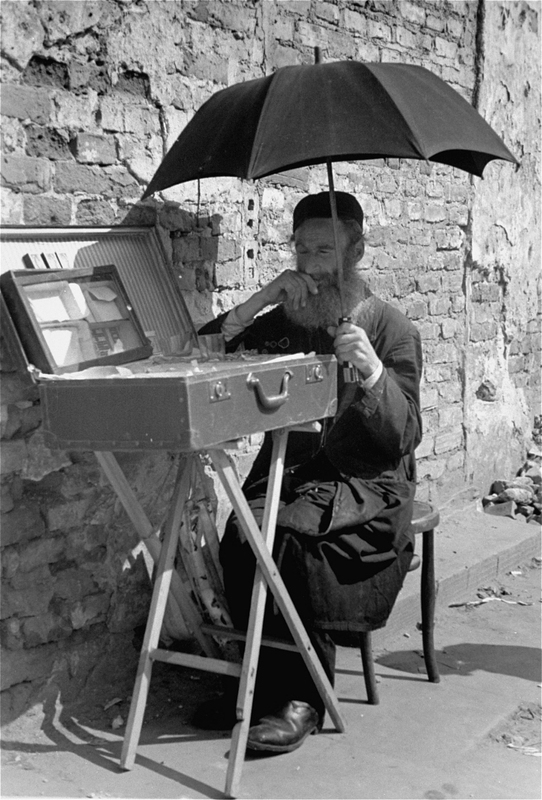 But what is any Shekinah good for if is not with you exactly in that moment?